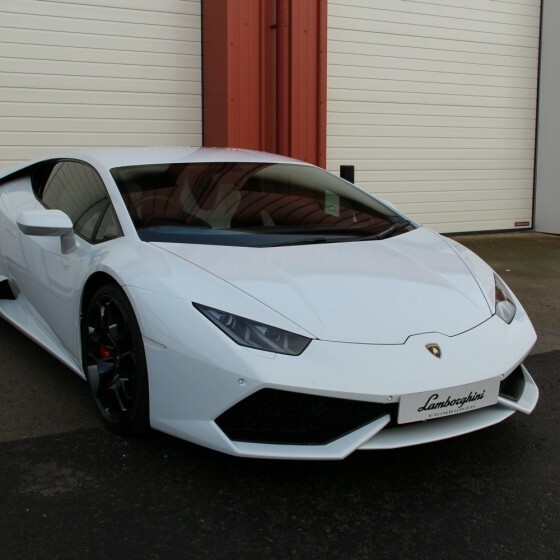 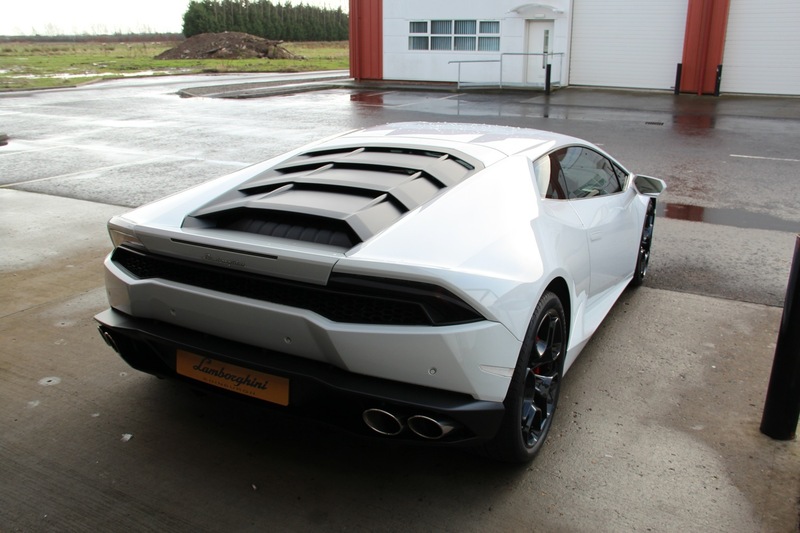 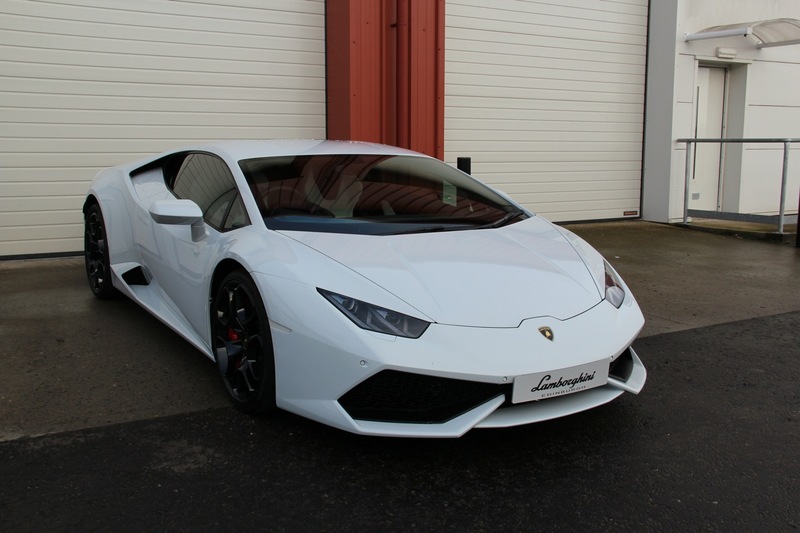 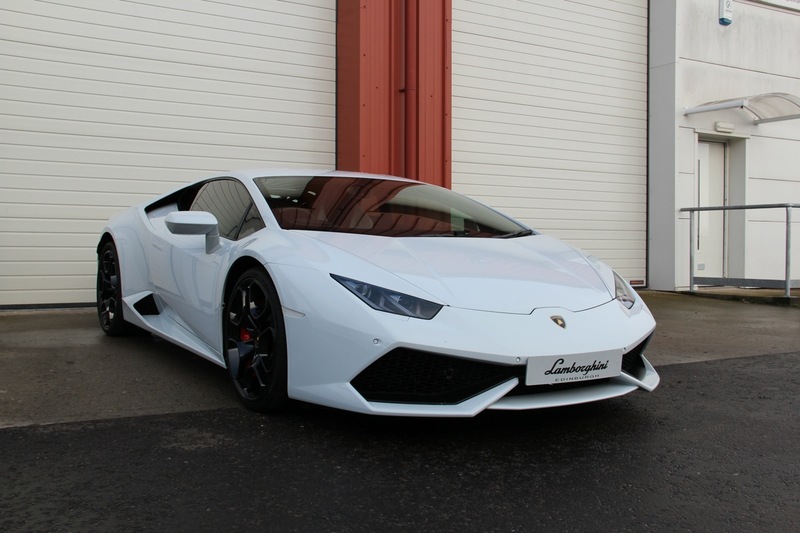 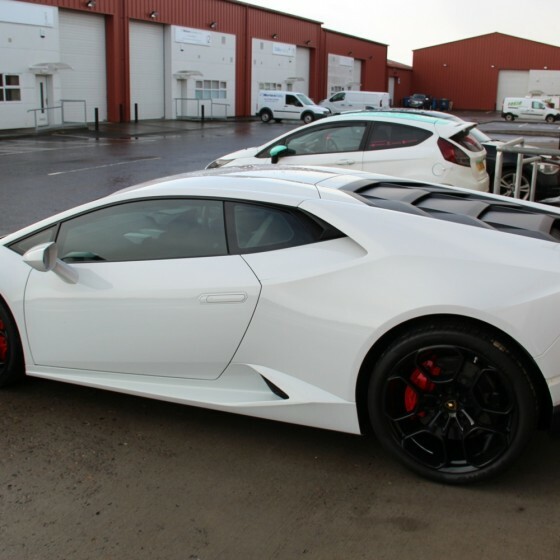 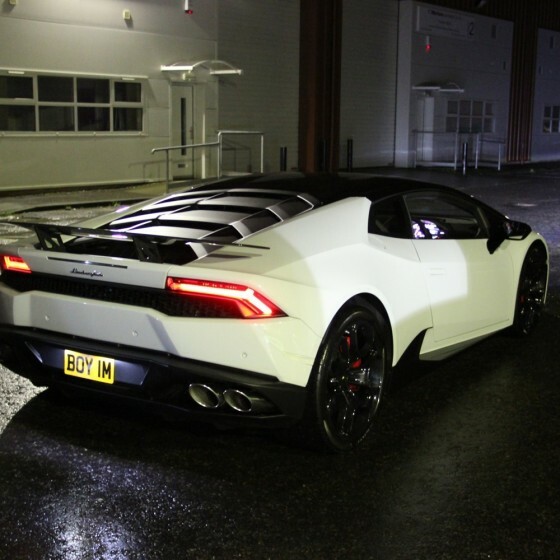 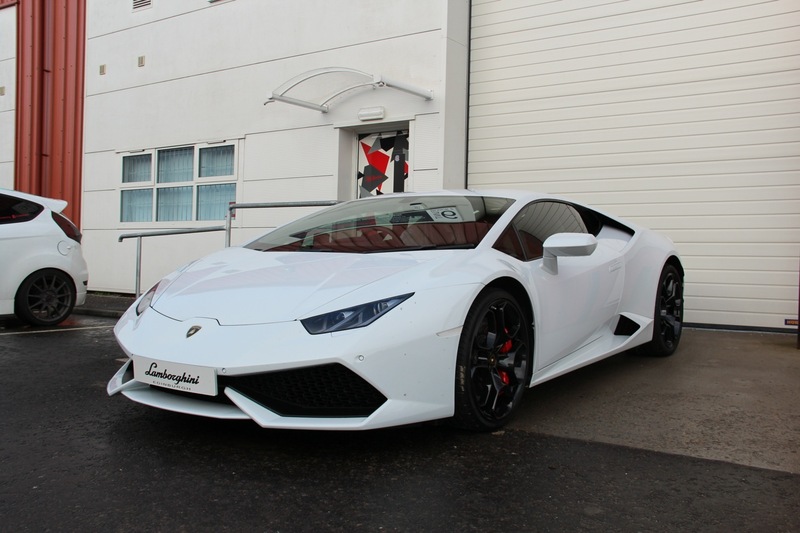 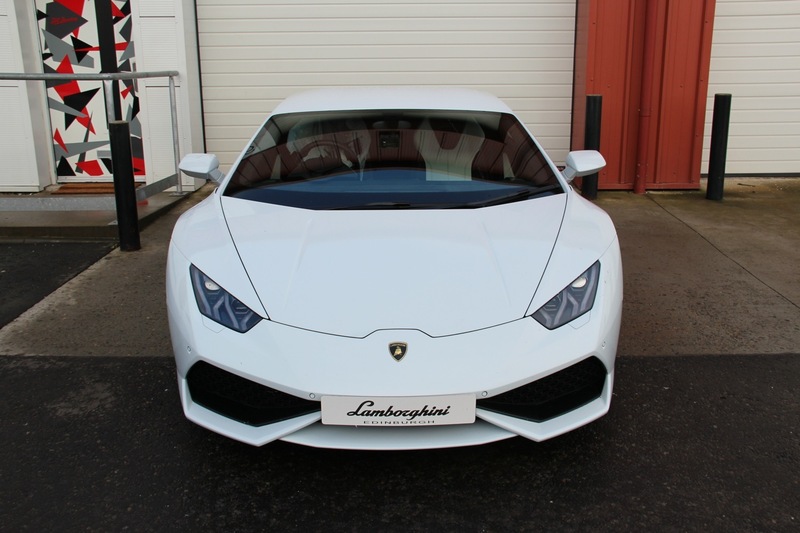 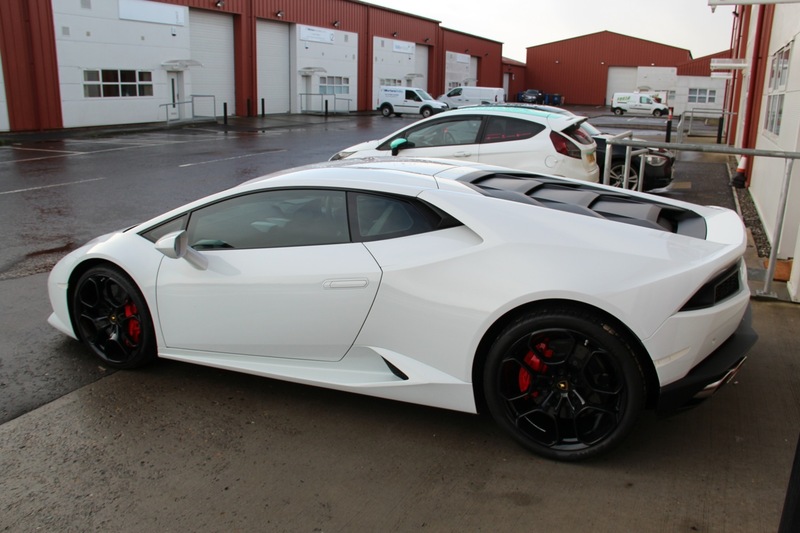 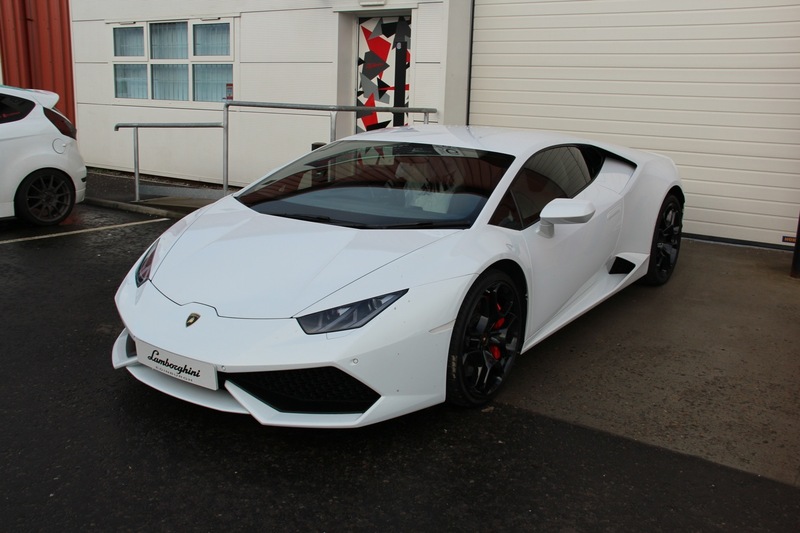 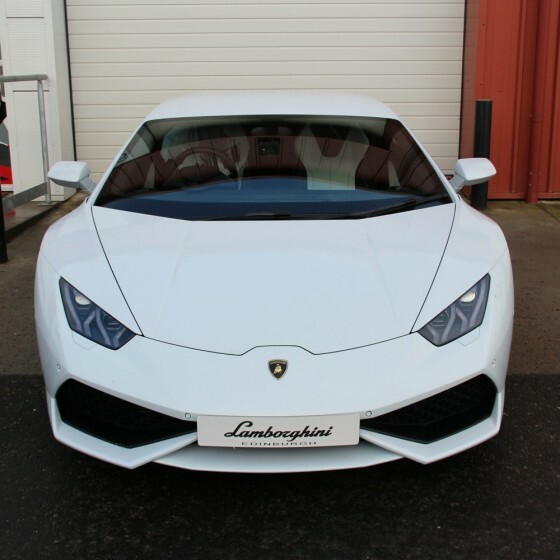 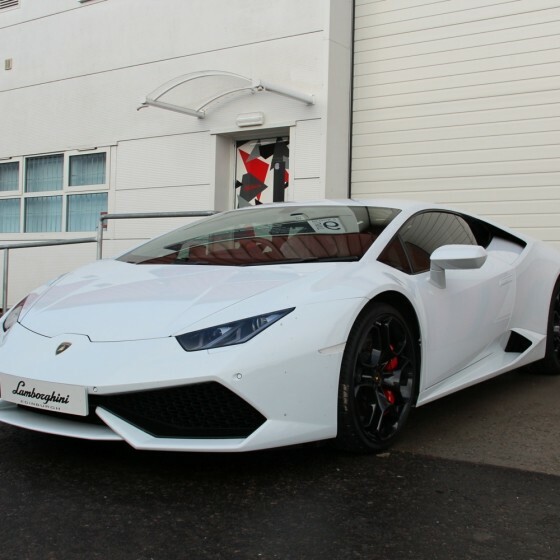 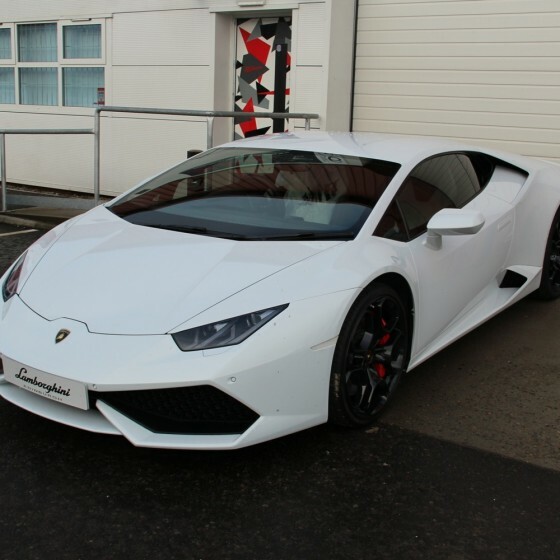 The owner of this Lamborghini Huracan had contacted us after being recommended to us by Lamborghini Edinburgh. 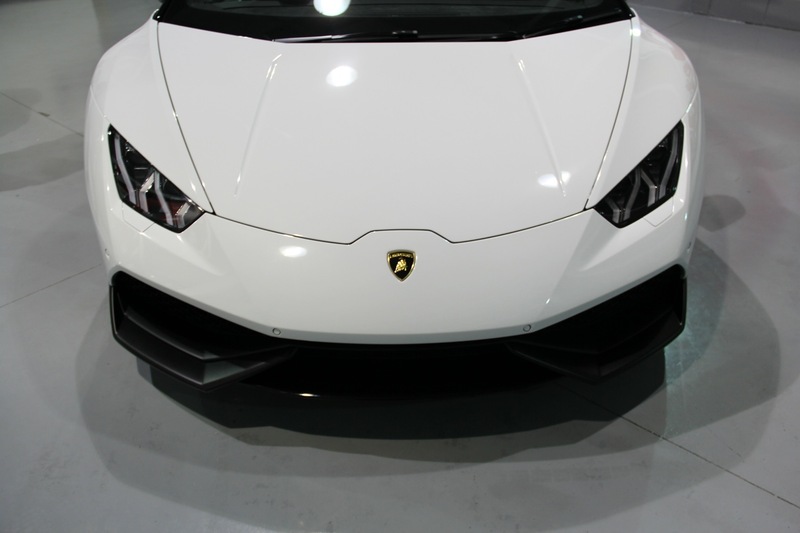 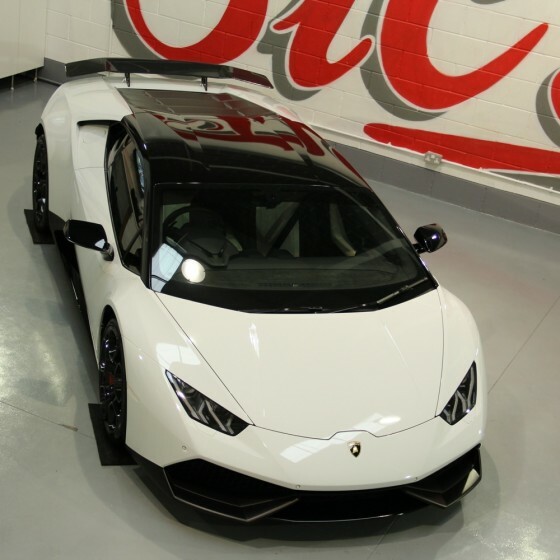 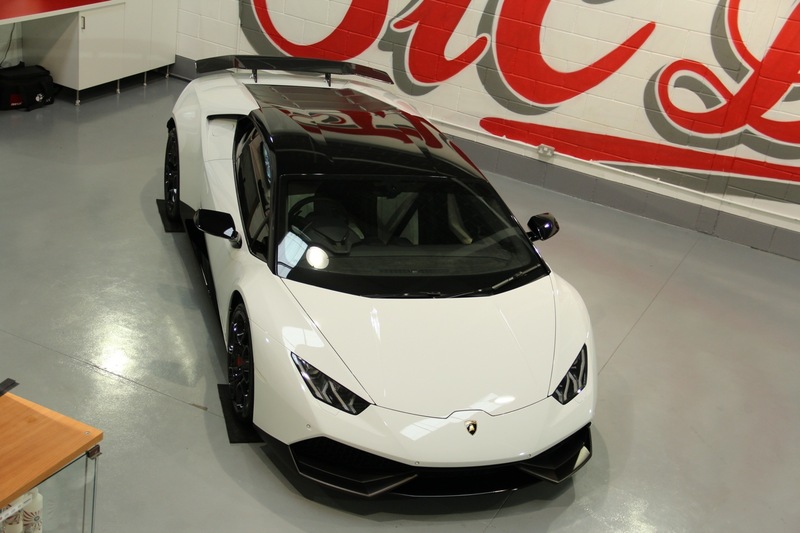 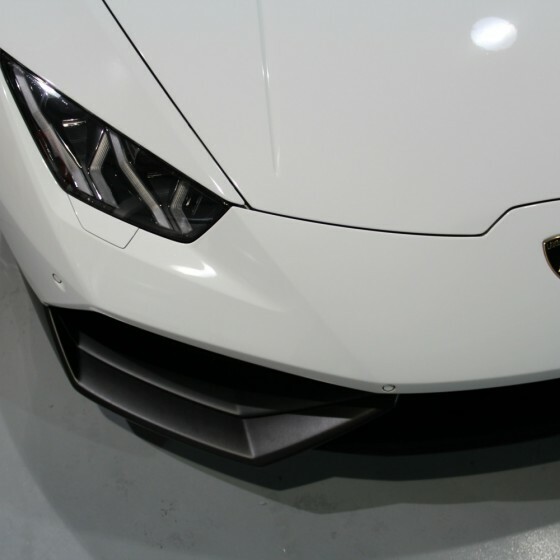 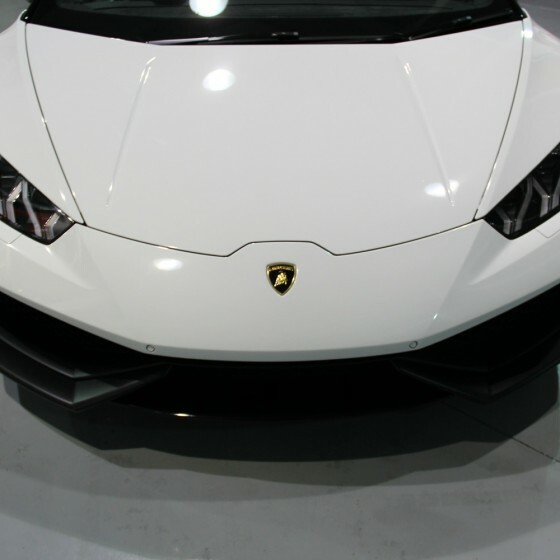 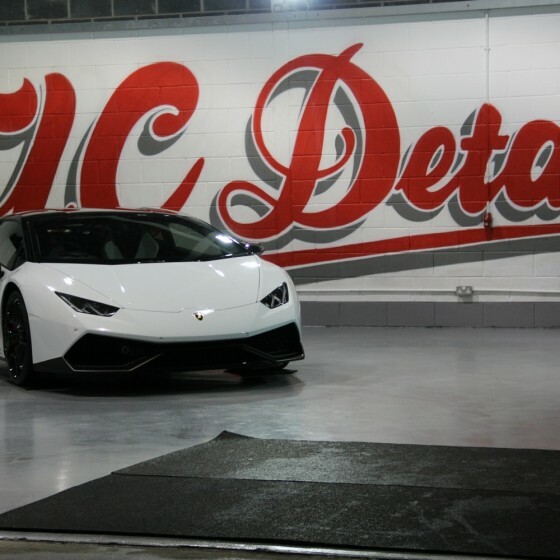 He wanted to make his new Huracan more aggressive looking as he felt that it standard just looked too tame and boring. 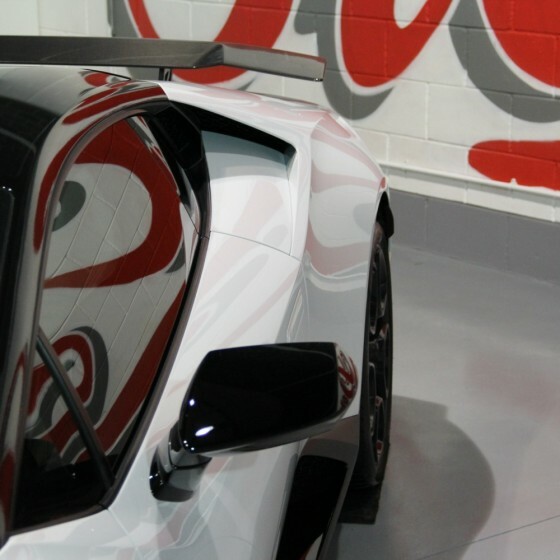 After having a consultation and discussing various parts of the car that could be wrapped a design was chosen. 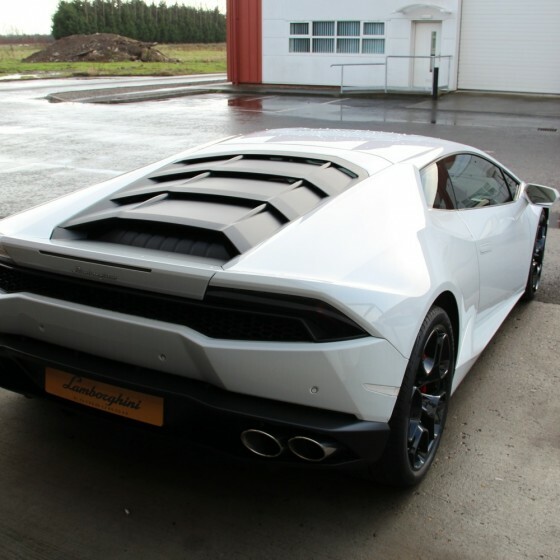 One of the main things for the owner was that it needed to look like a factory design as if it had been delivered that way. 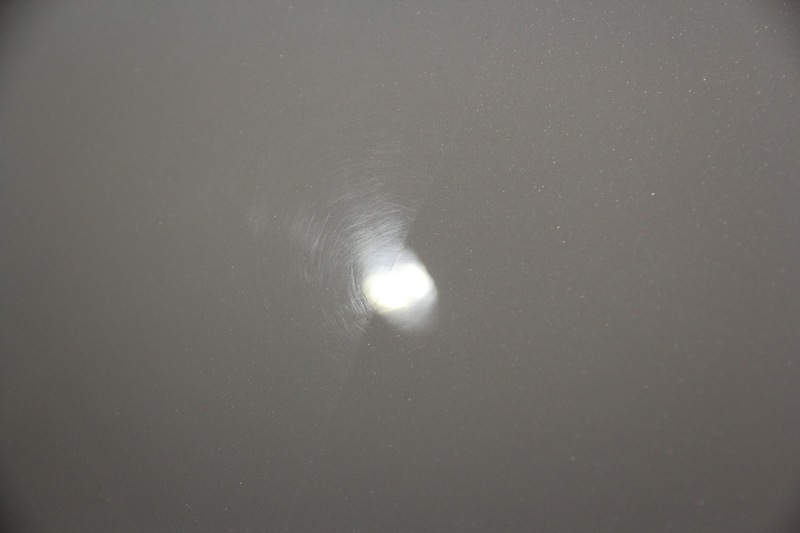 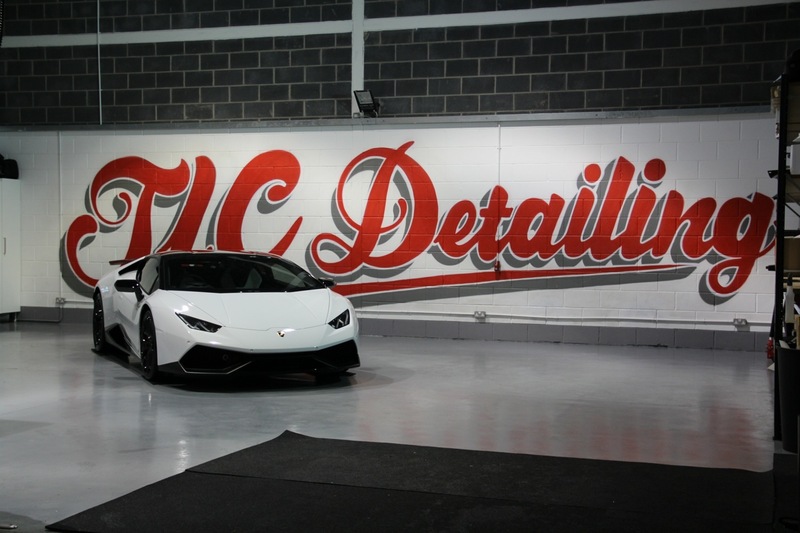 It was also agreed that we would carry out our New Car Preparation Detail with upgraded Max Protect Coatings on the paintwork. 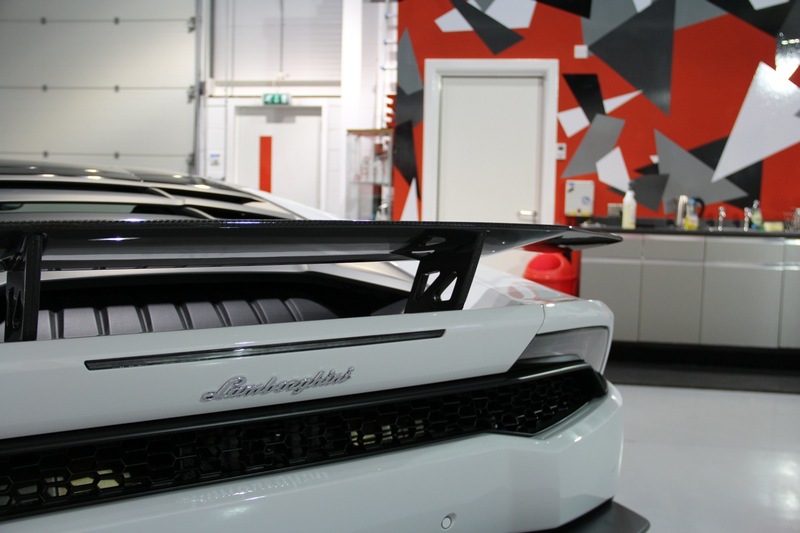 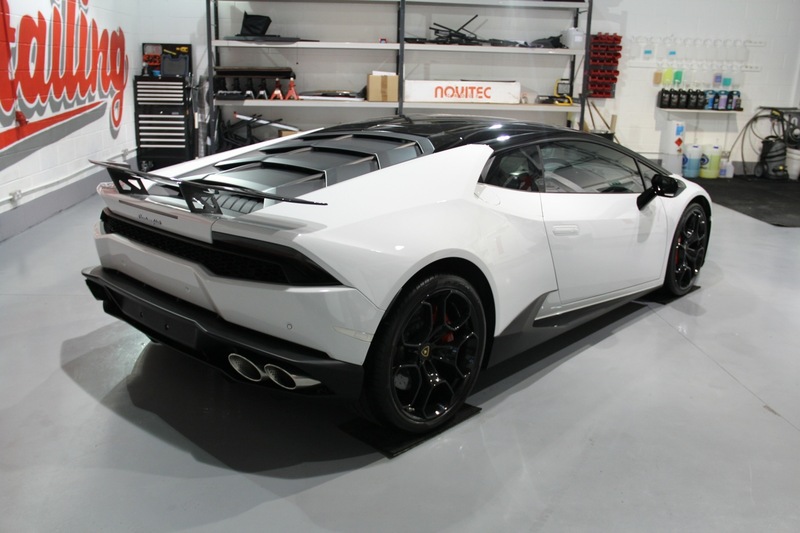 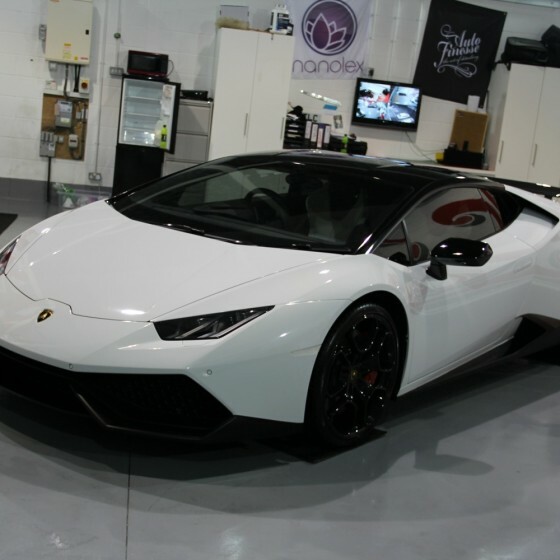 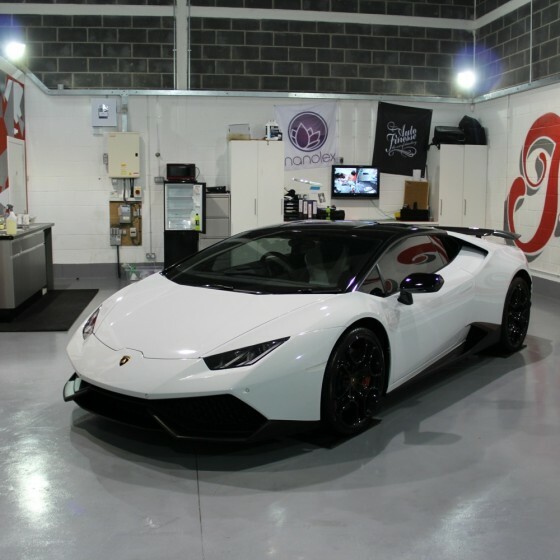 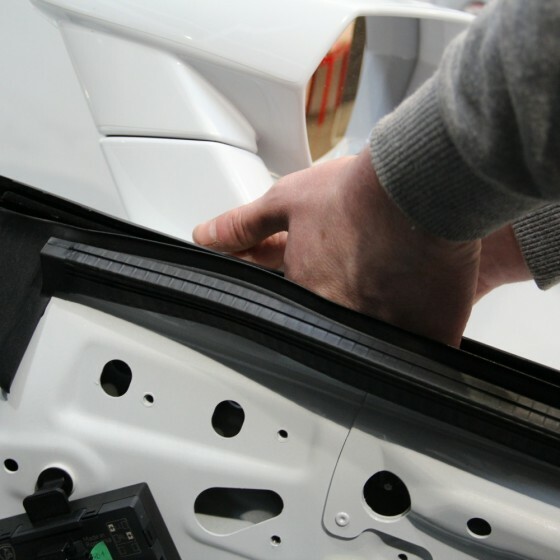 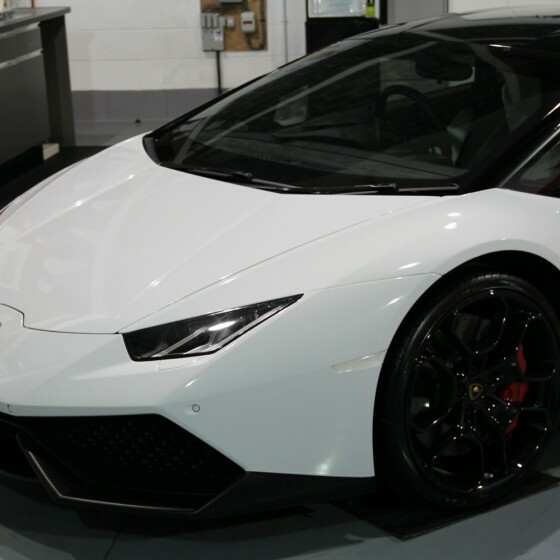 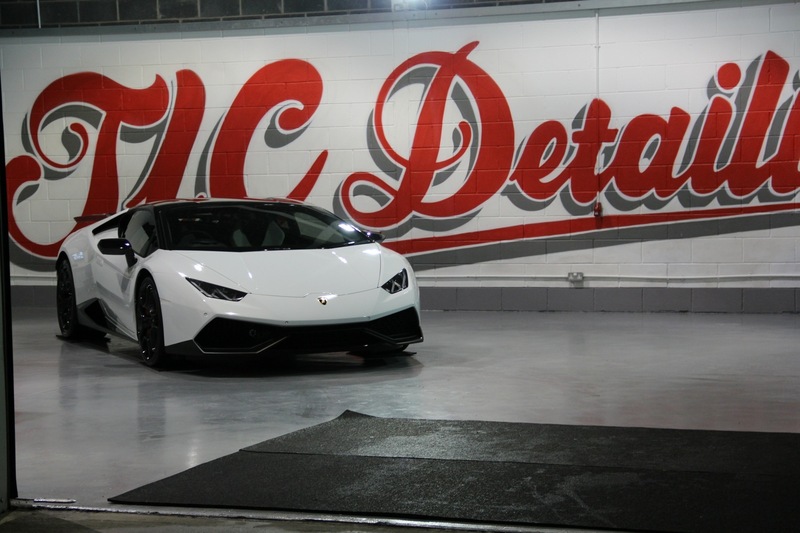 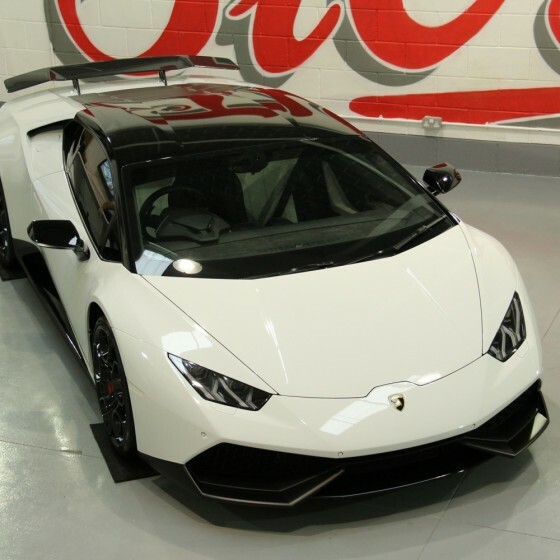 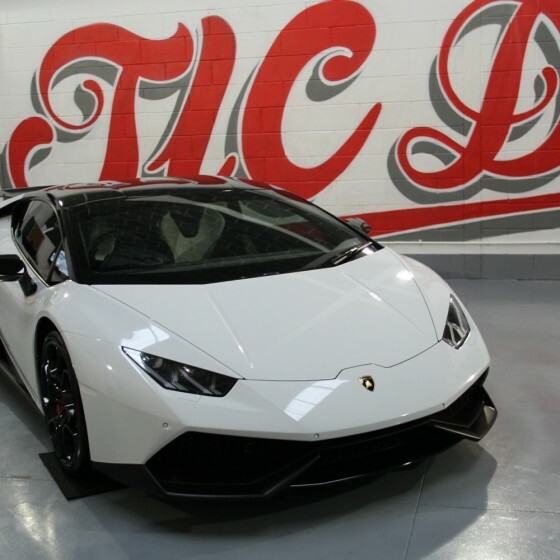 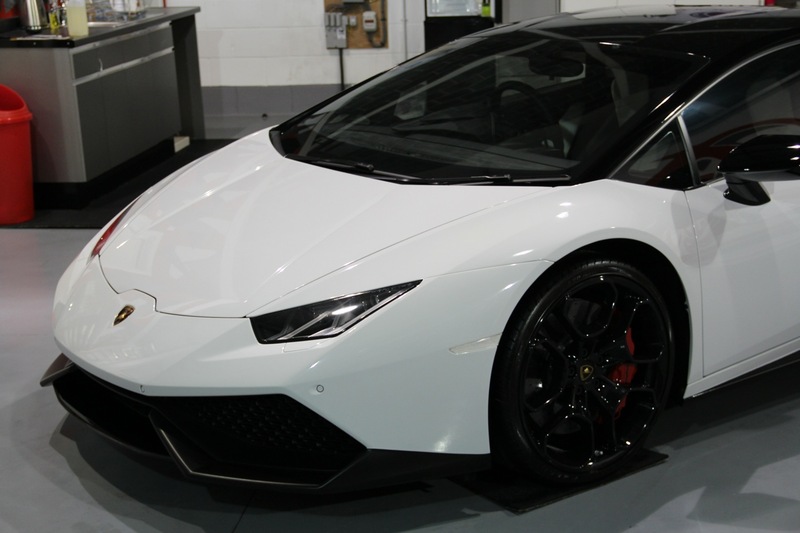 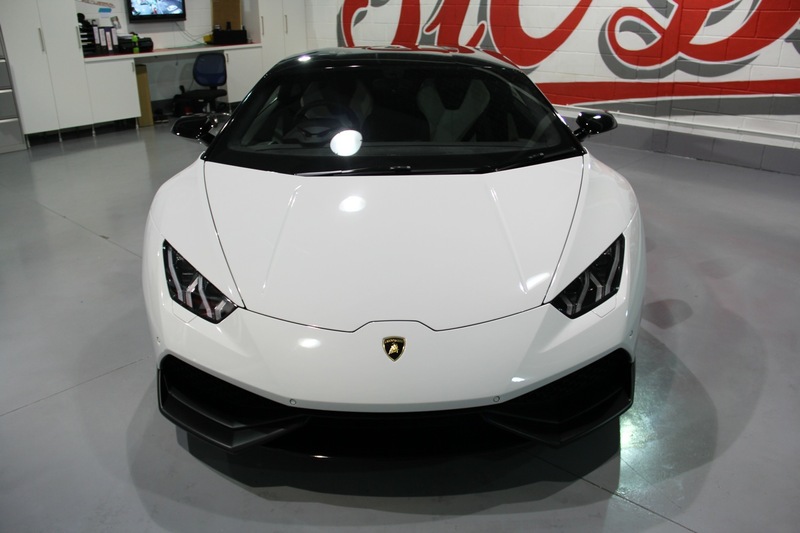 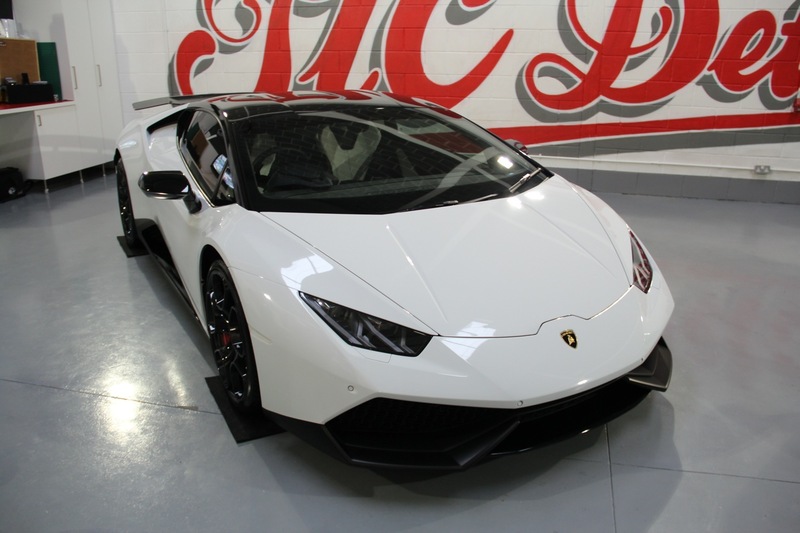 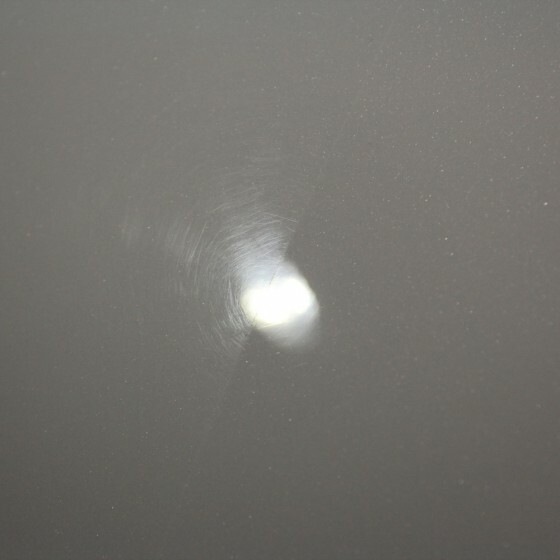 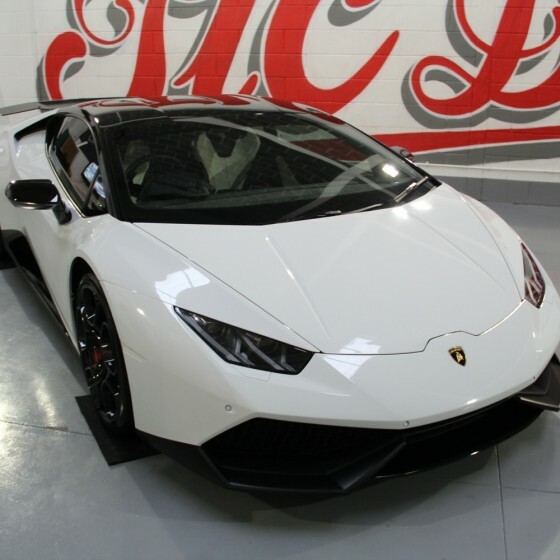 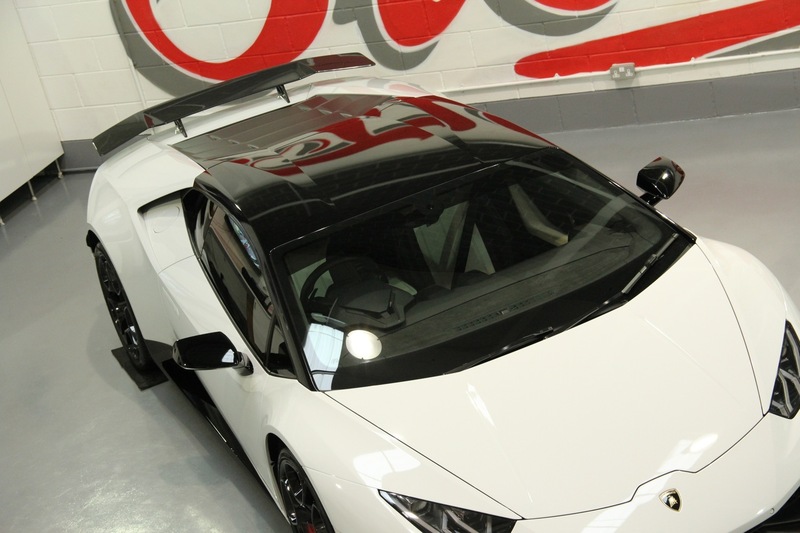 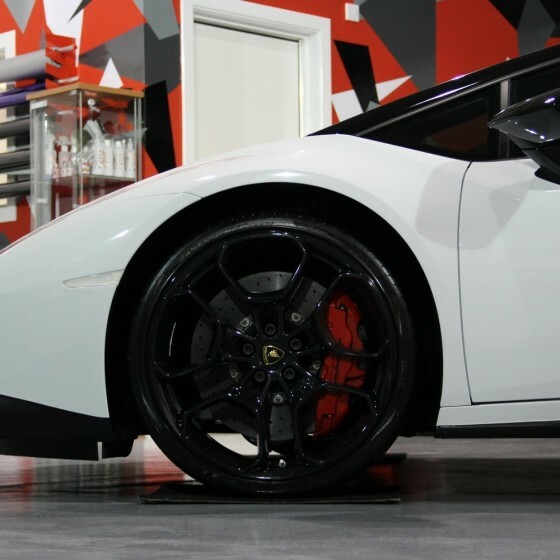 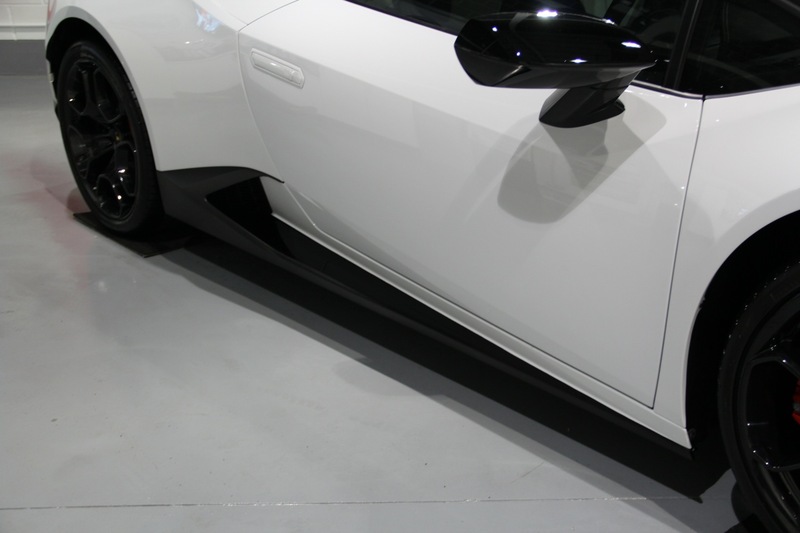 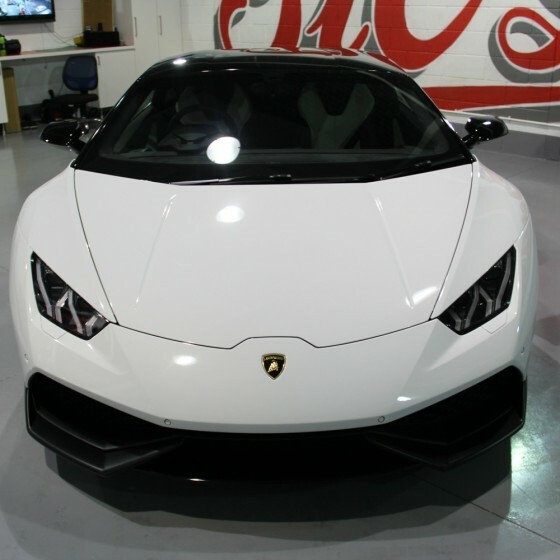 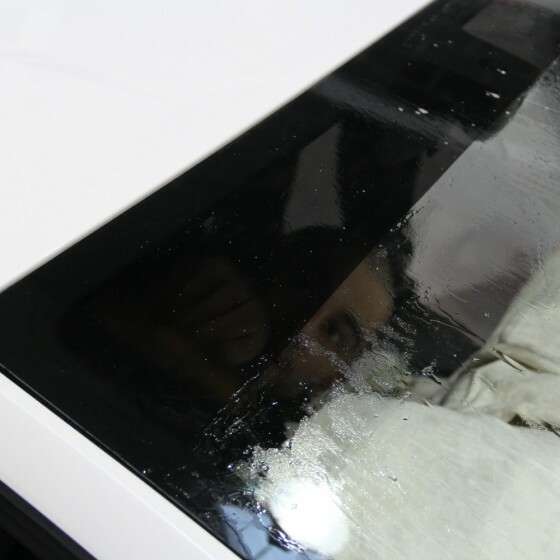 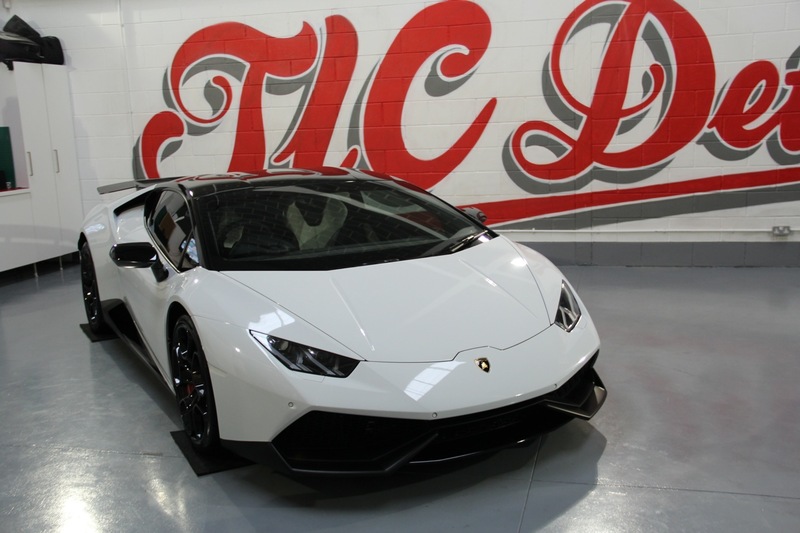 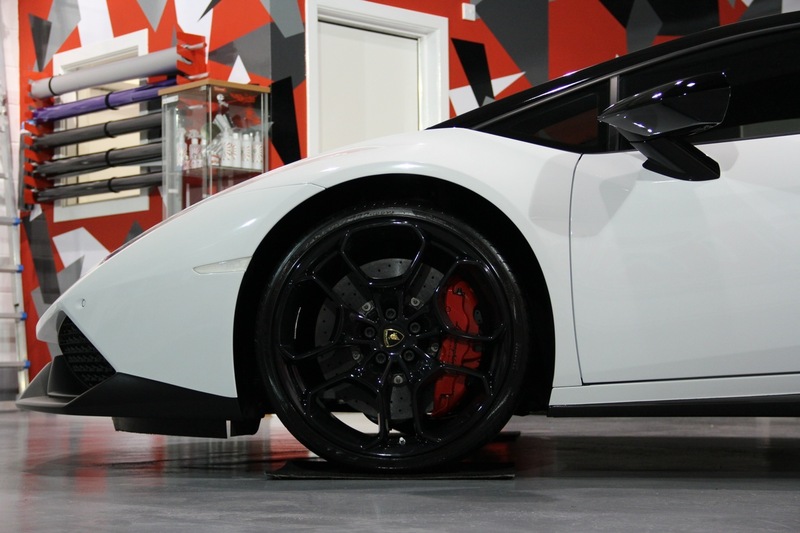 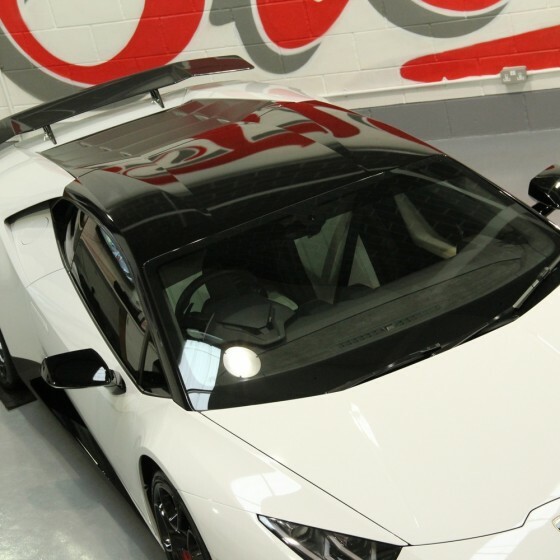 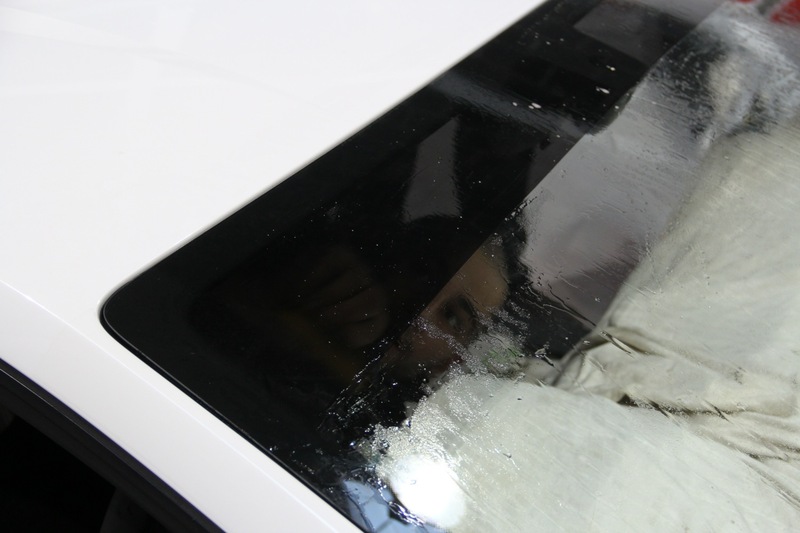 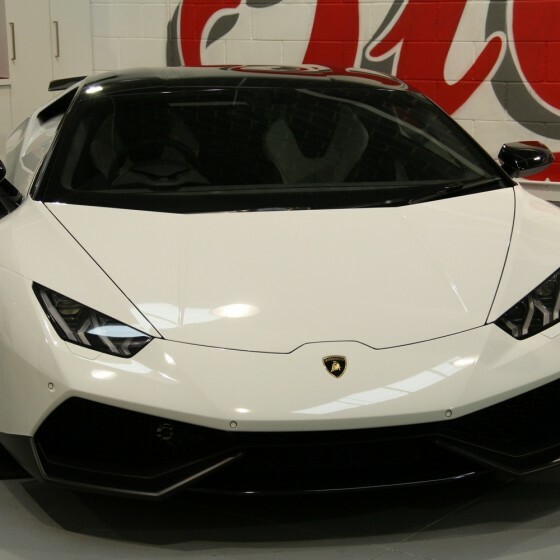 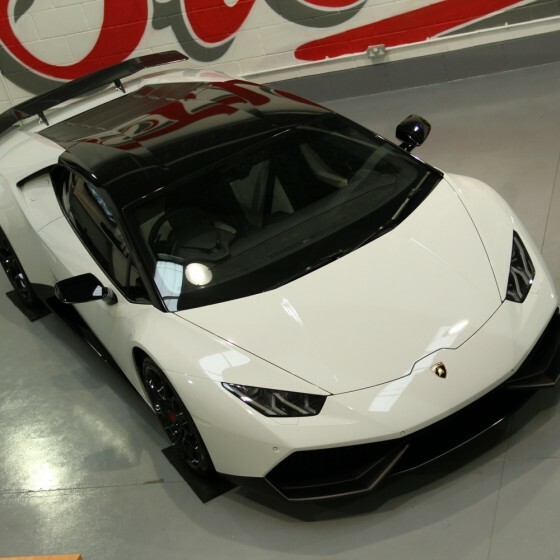 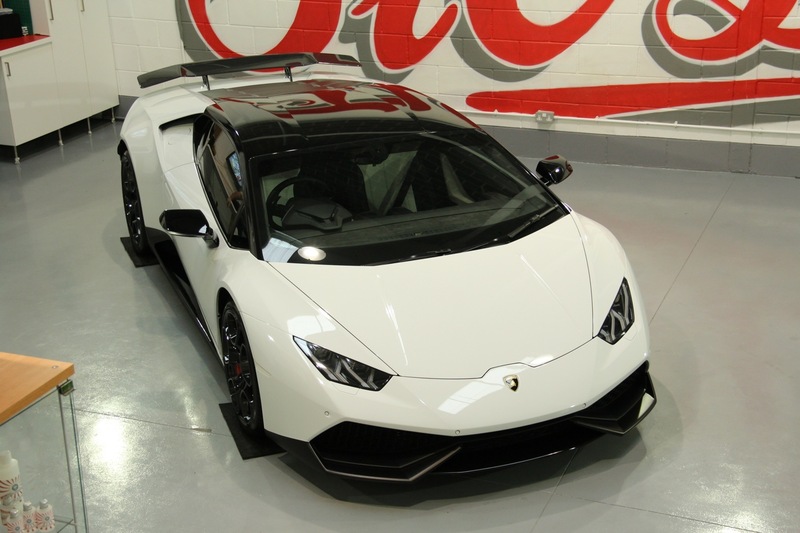 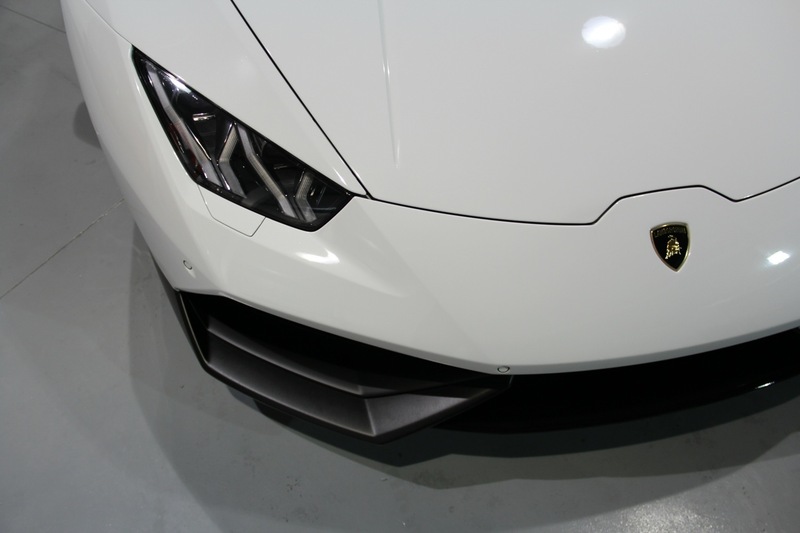 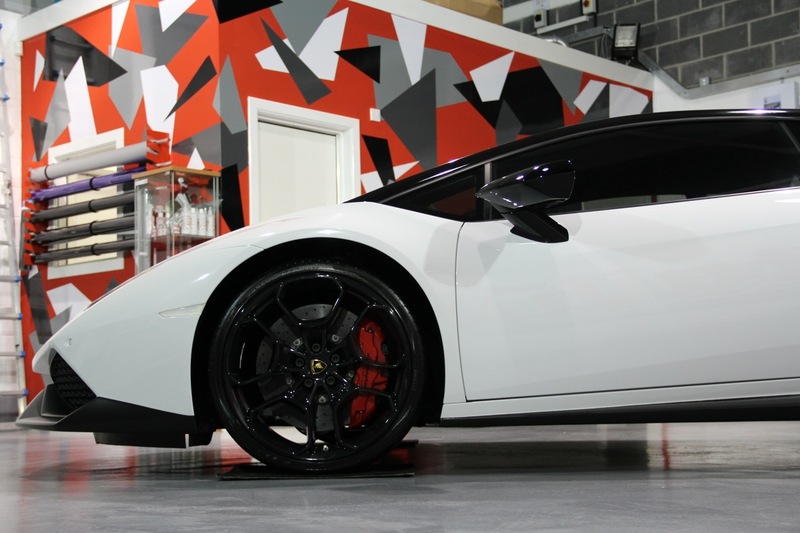 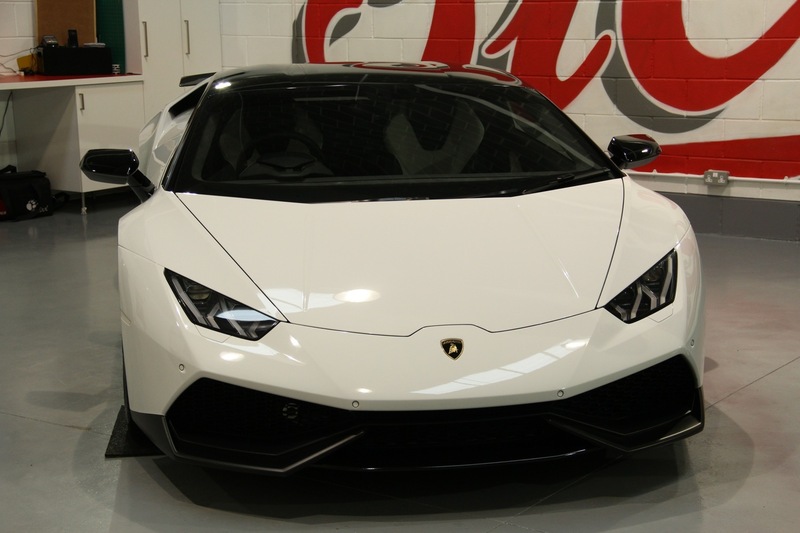 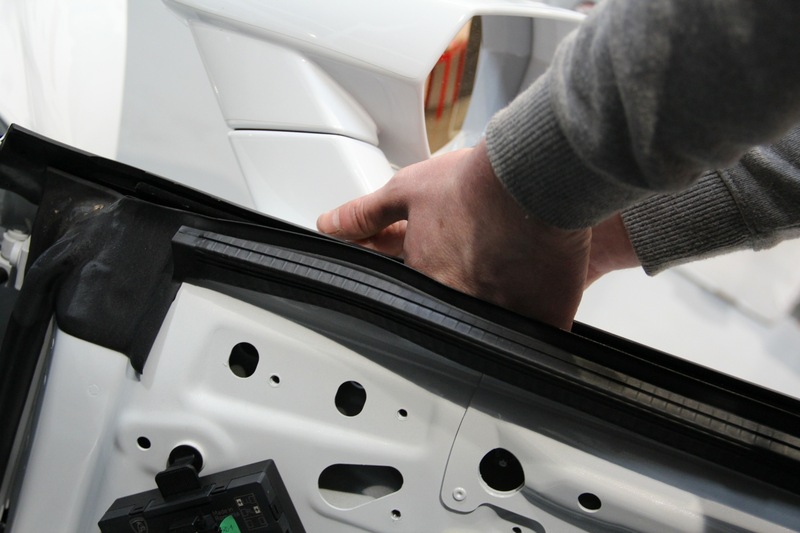 Once the vehicle was delivered to us by Lamborghini Edinburgh we carried out a methodical cleanse and decontamination of every surface to prepare it for the paintwork coatings and the various parts getting wrapped. 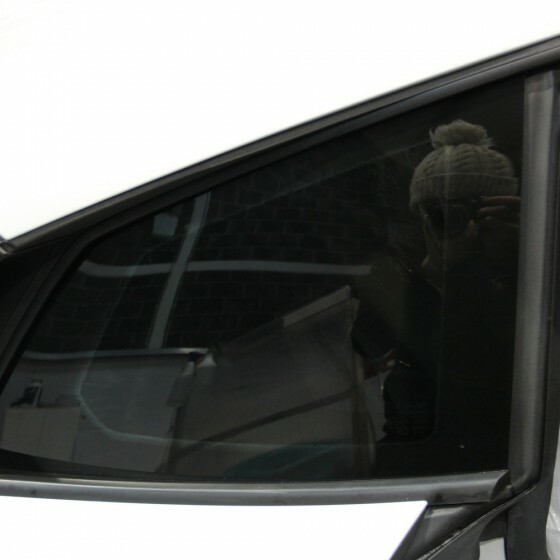 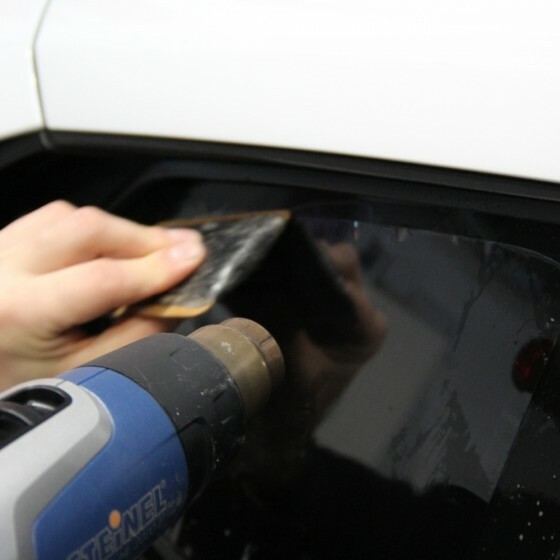 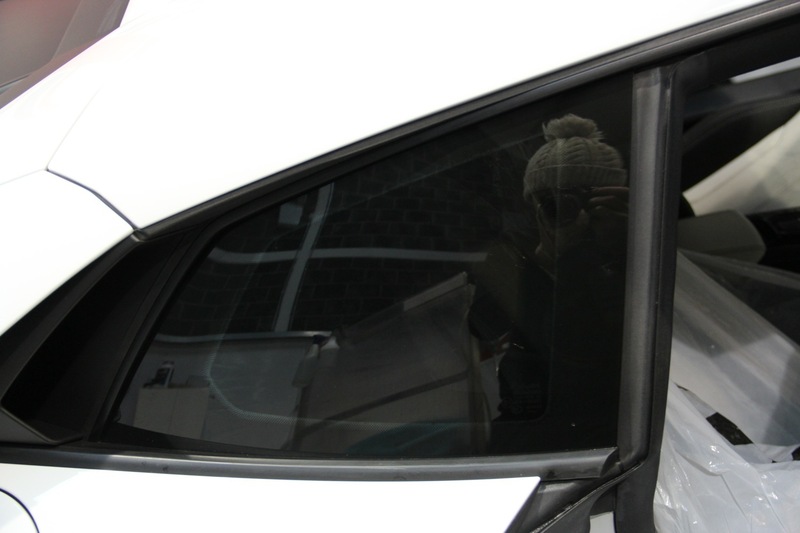 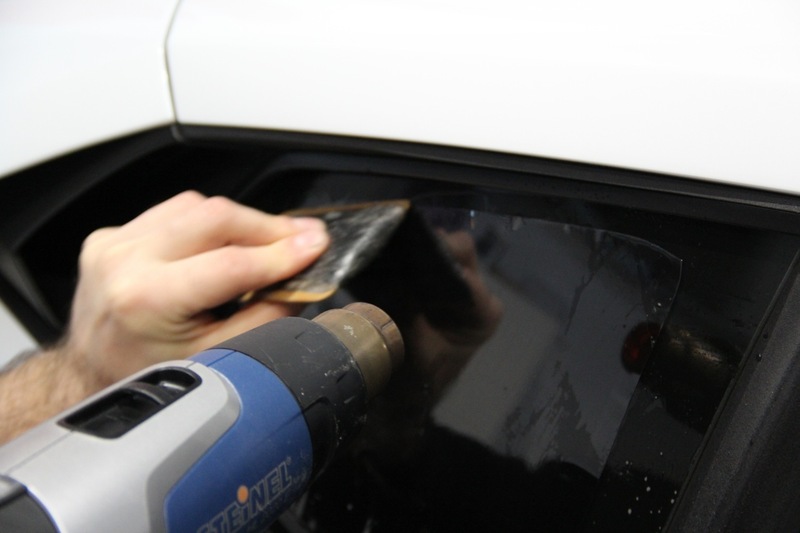 The windows were tinted all round and a sunstrip was installed. 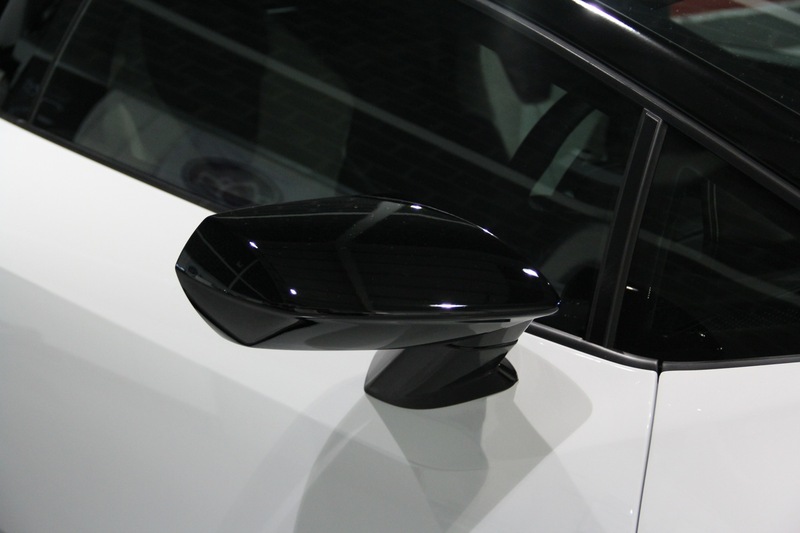 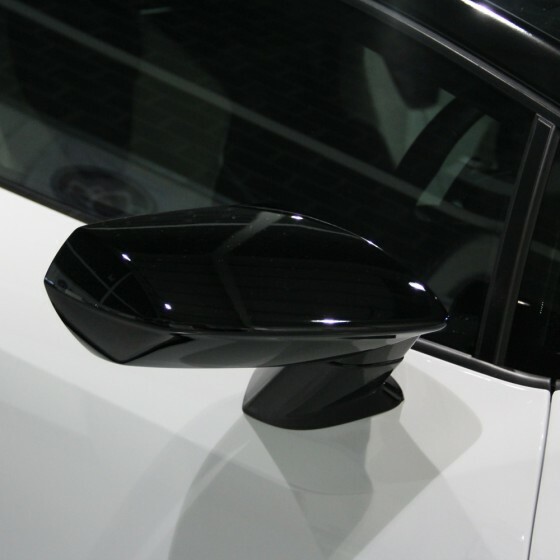 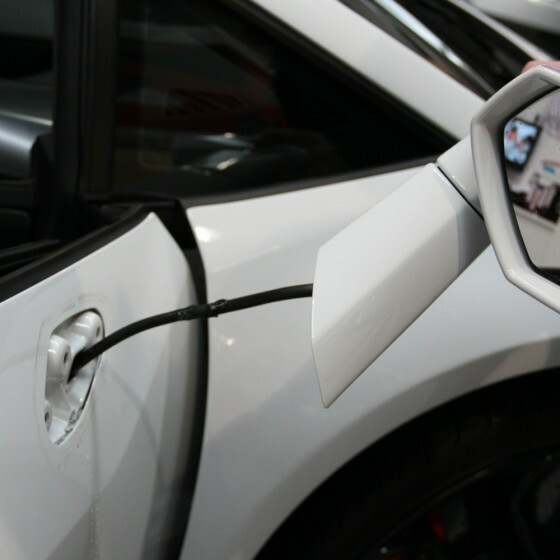 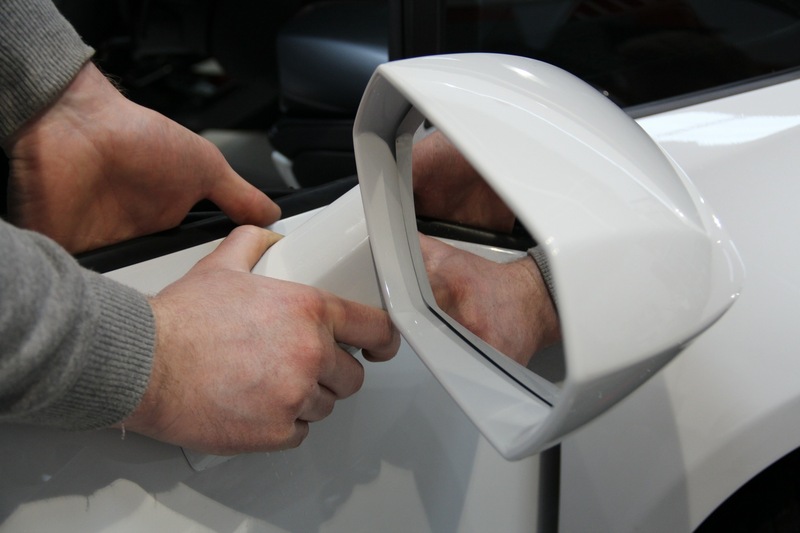 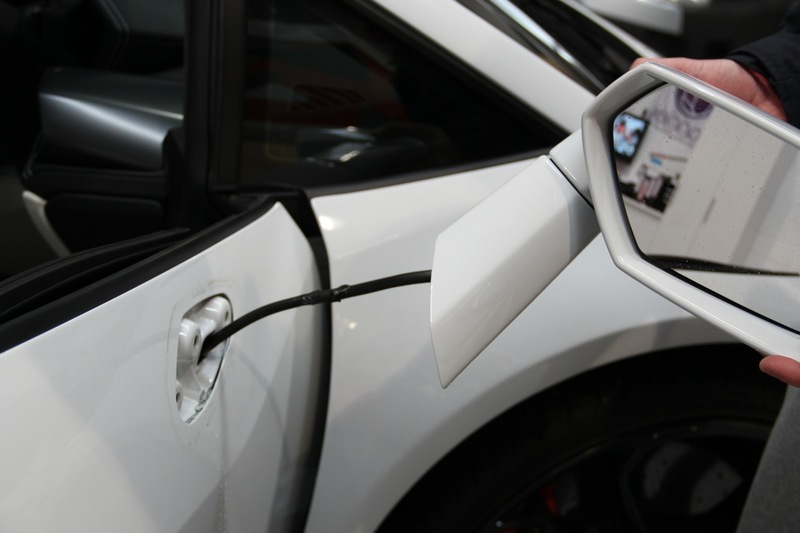 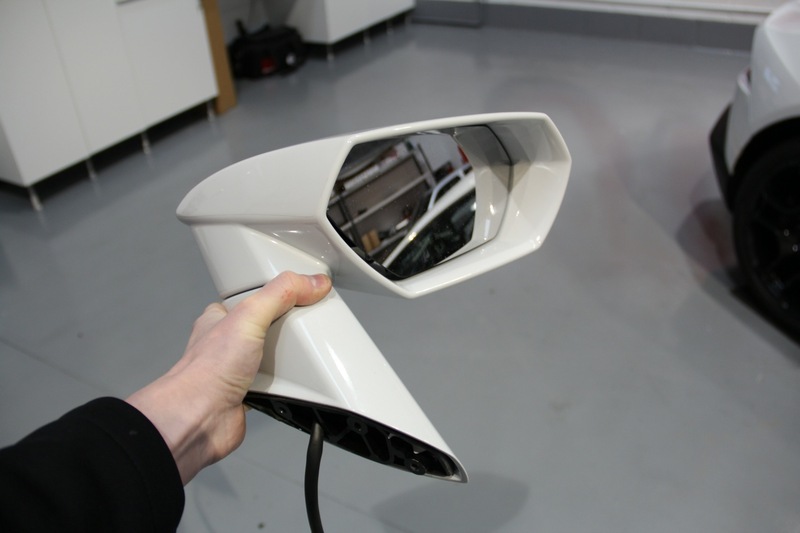 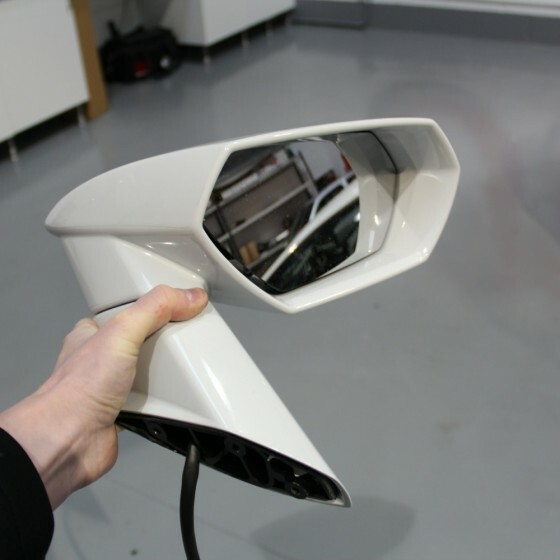 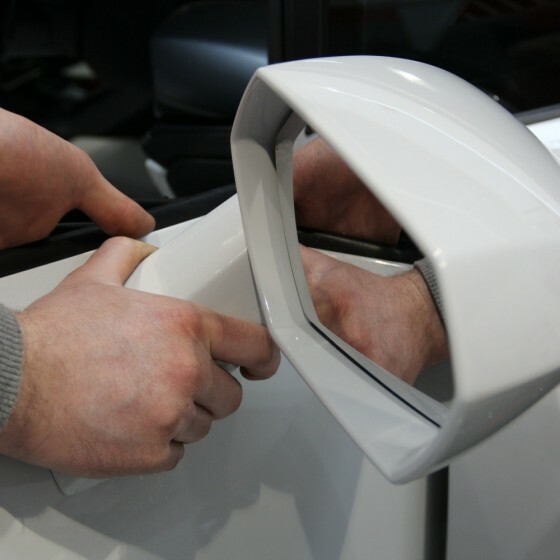 The wing mirrors were removed as these were getting painted gloss black. 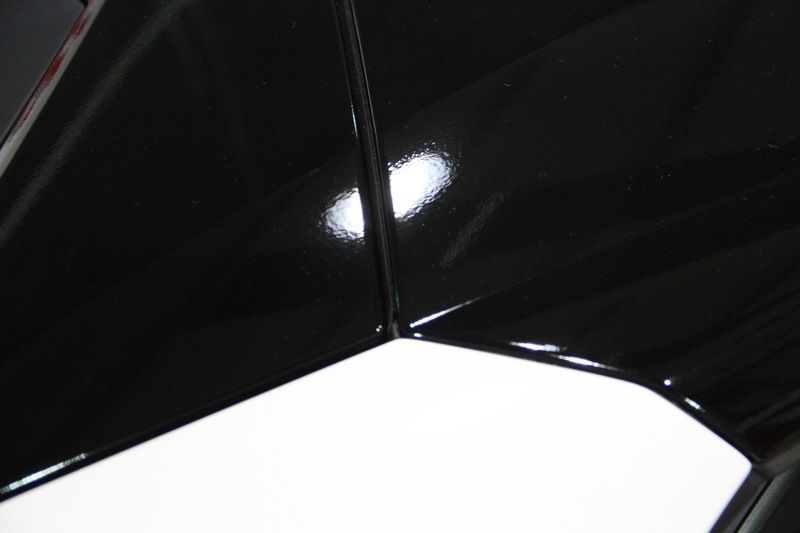 The roof was wrapped gloss black and the top of the boot lid section was removed from the vehicle and wrapped gloss black too. 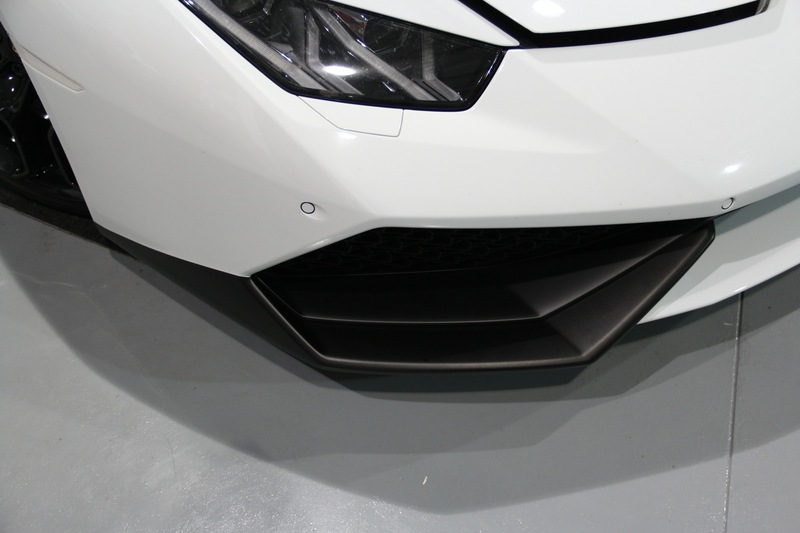 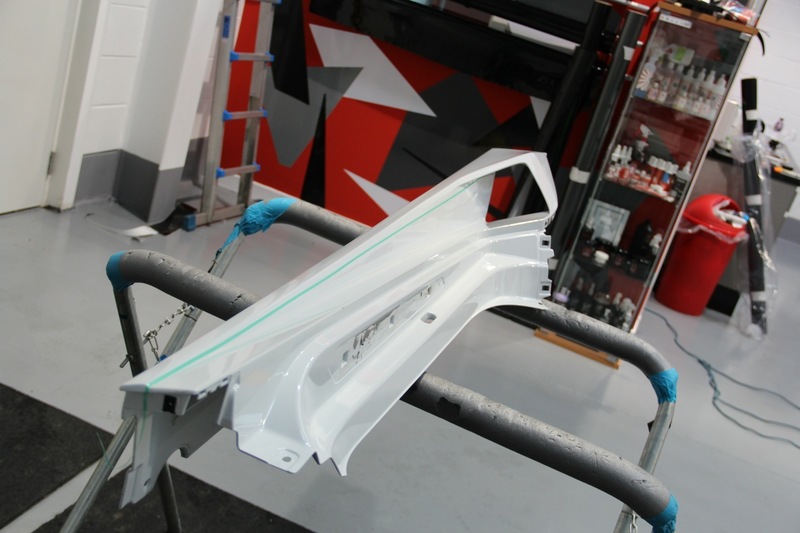 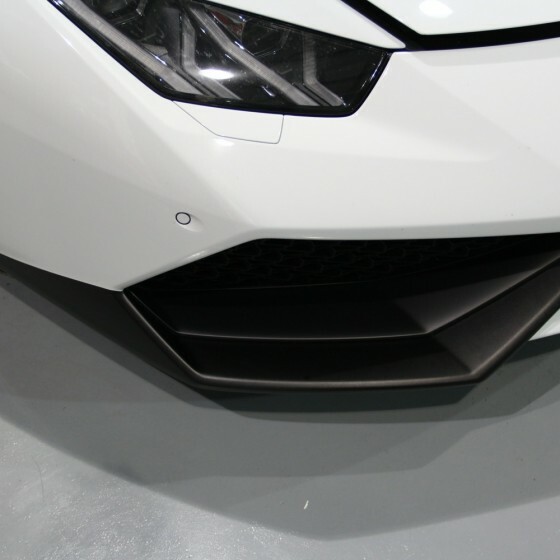 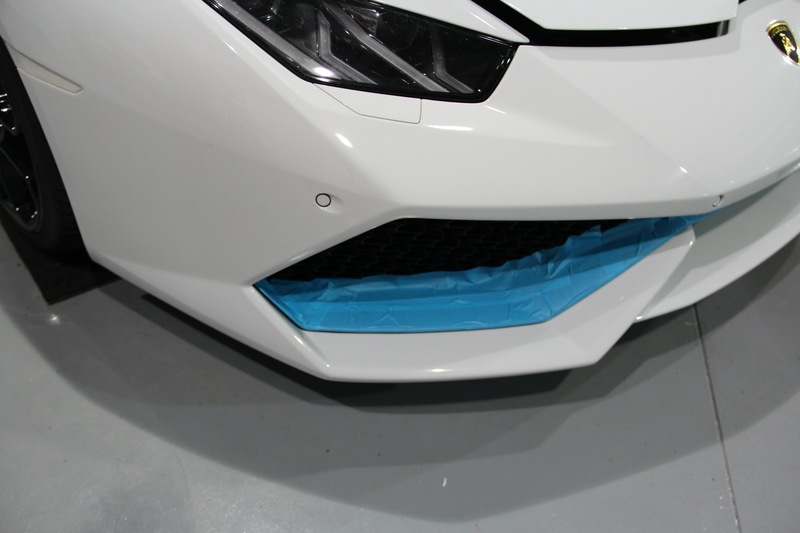 The front bumper side sections were wrapped satin black and the middle section was wrapped gloss black. 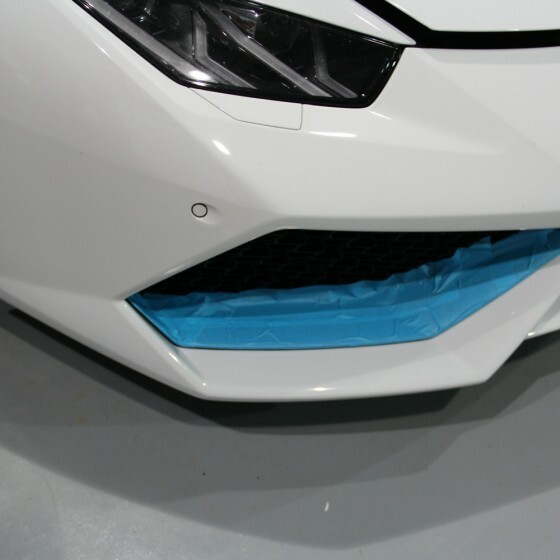 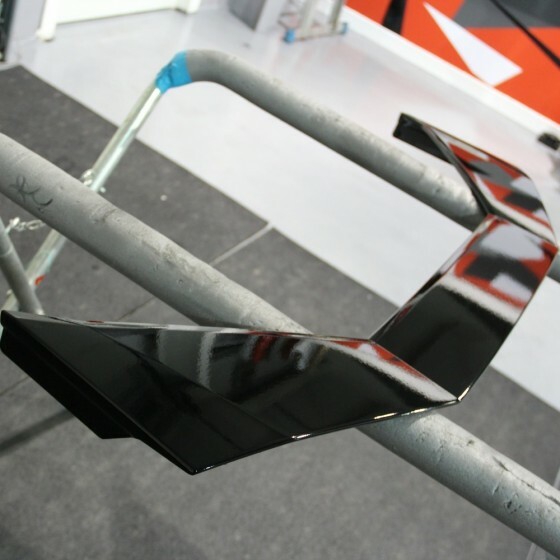 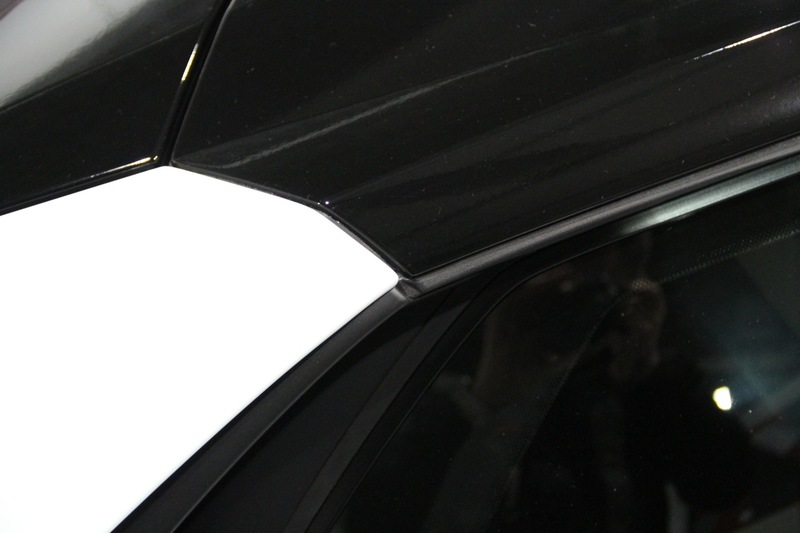 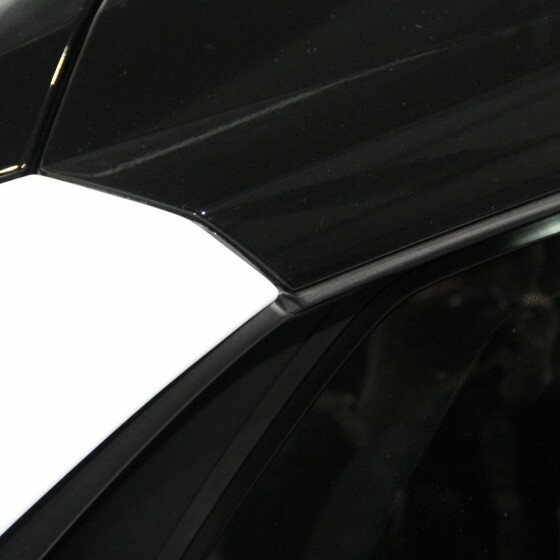 The side skirts were removed and knifeless tape was used to wrap the face of the side skirts satin black and insert gloss black. 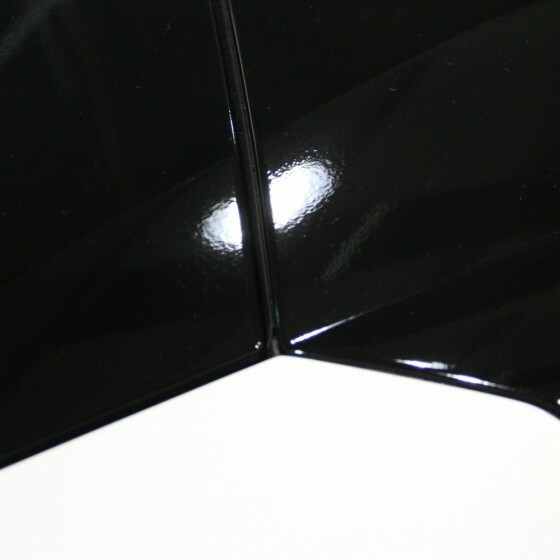 Once all the wrapping was finished the vehicles paintwork was corrected to remove all scratches and swirls which can be seen in the 50/50 photo. 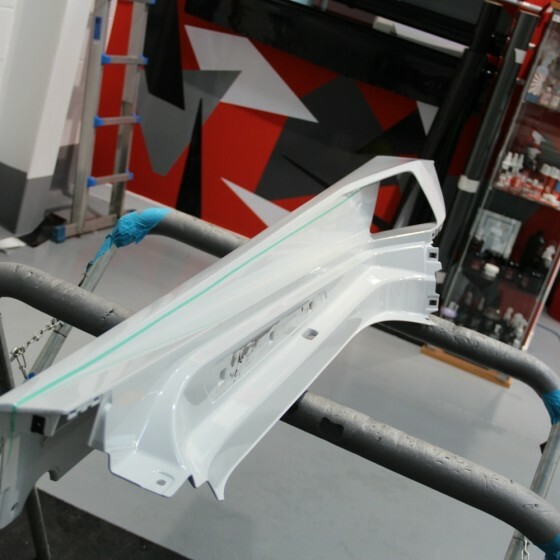 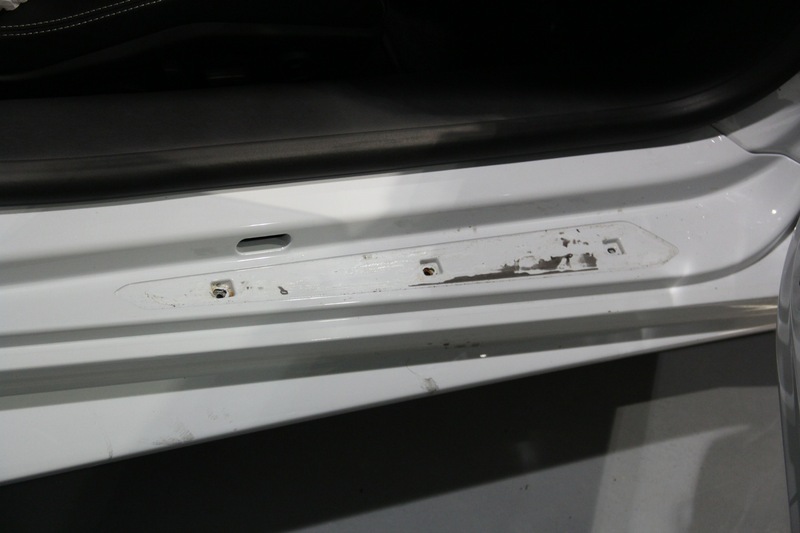 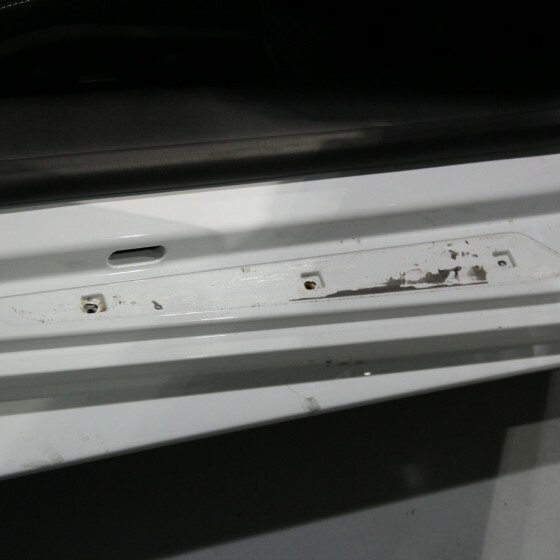 When all these were removed the paintwork was coated with Max Protect UNC-R and Silk Coat. 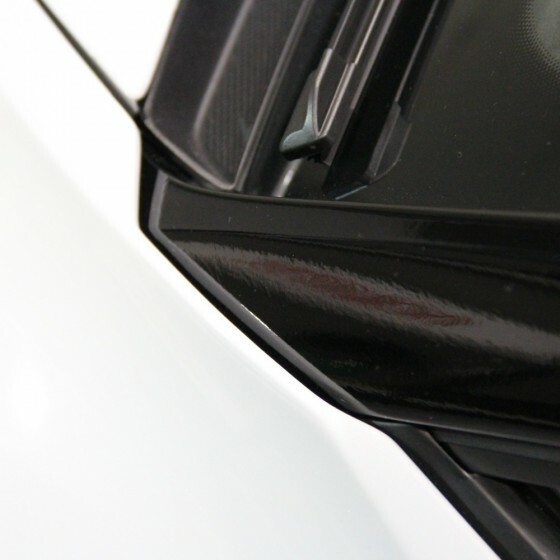 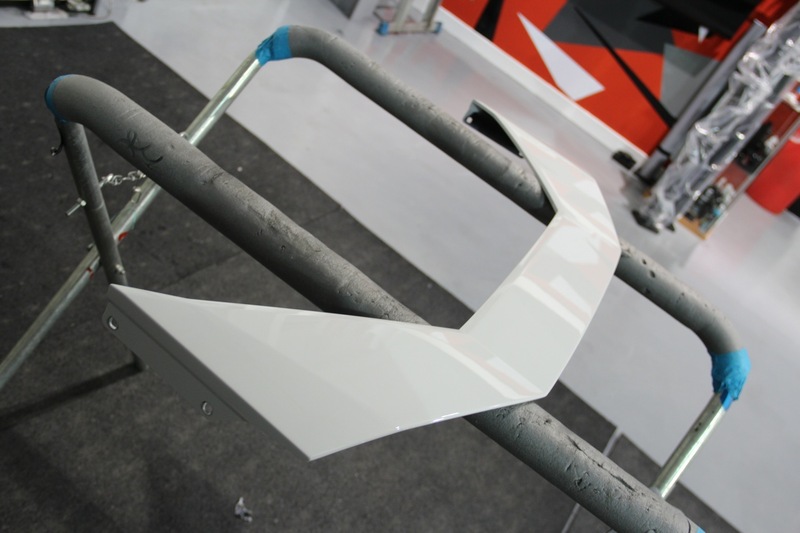 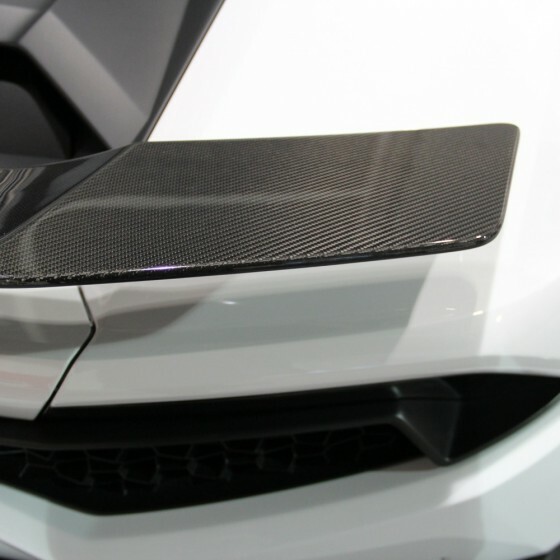 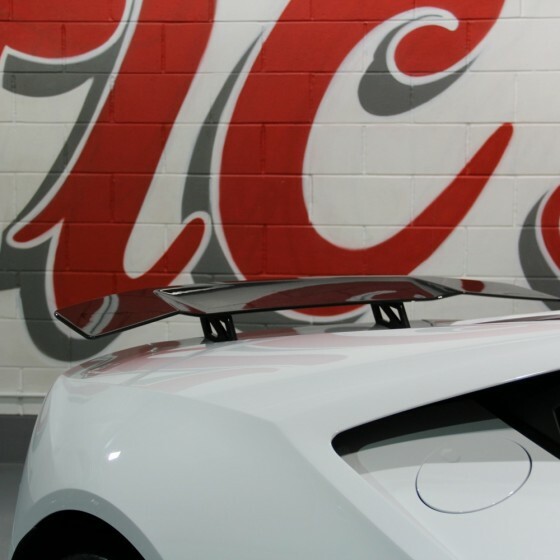 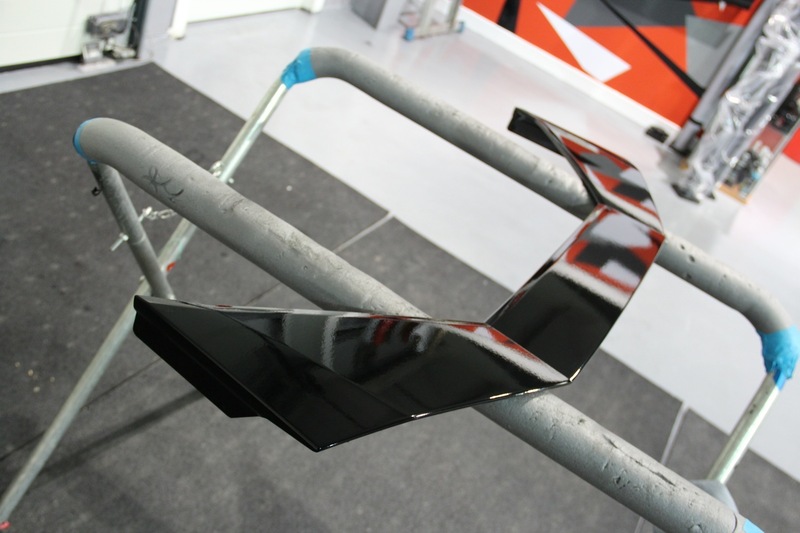 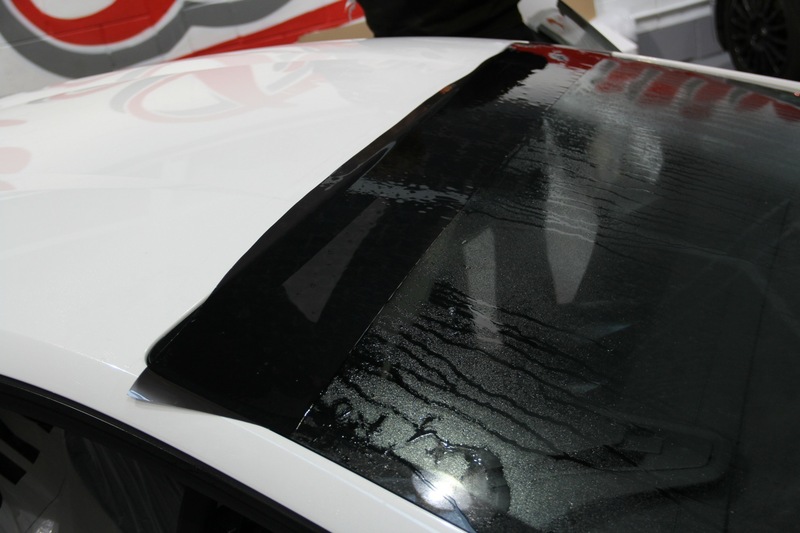 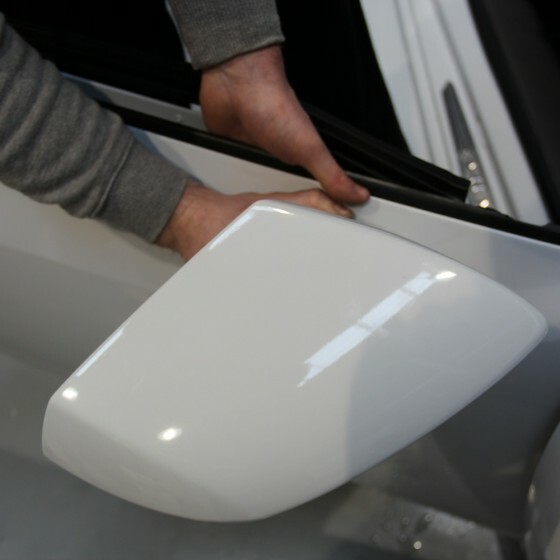 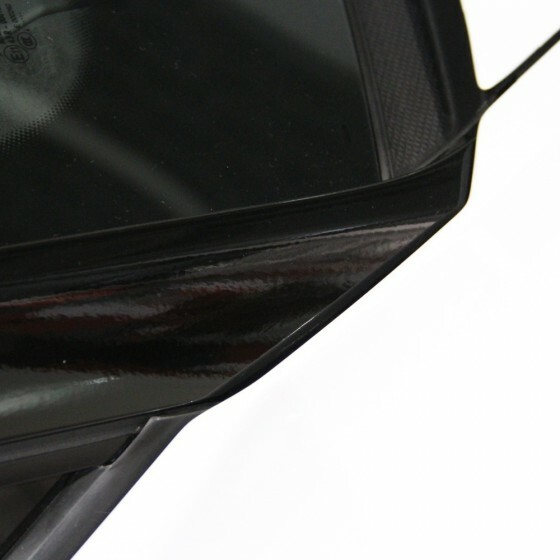 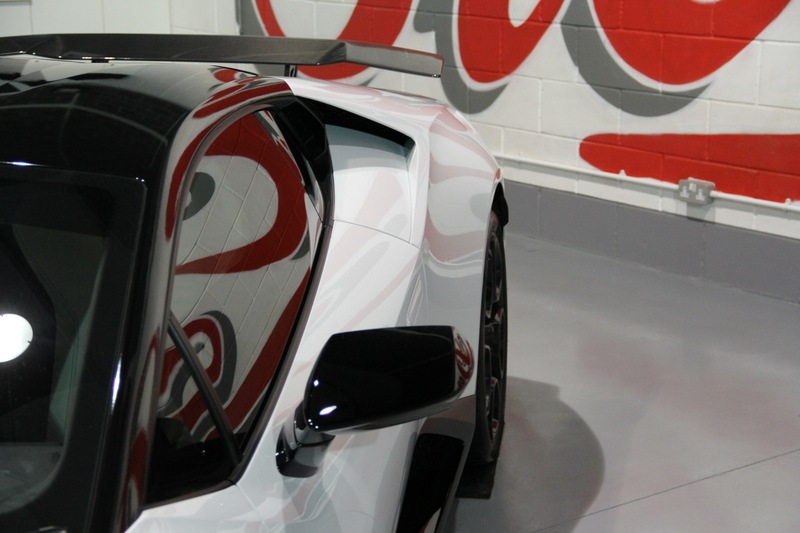 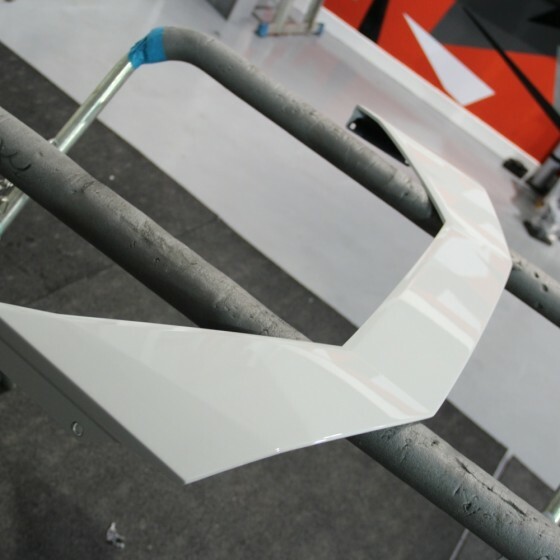 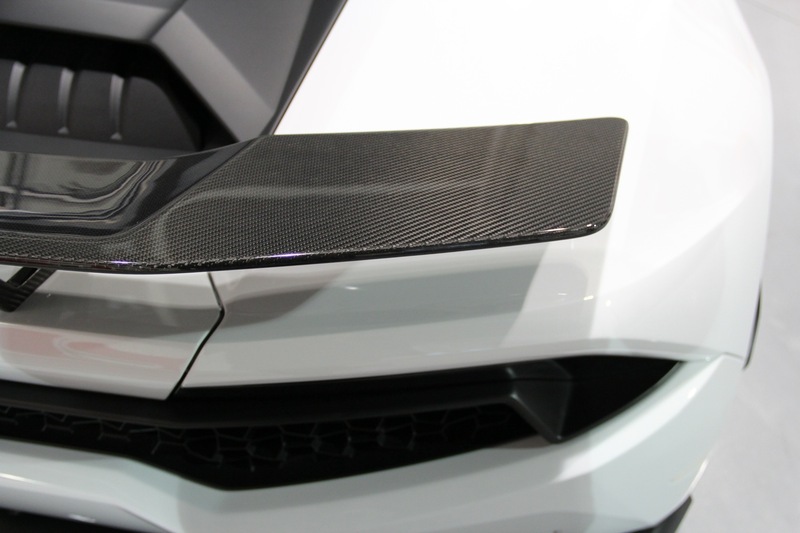 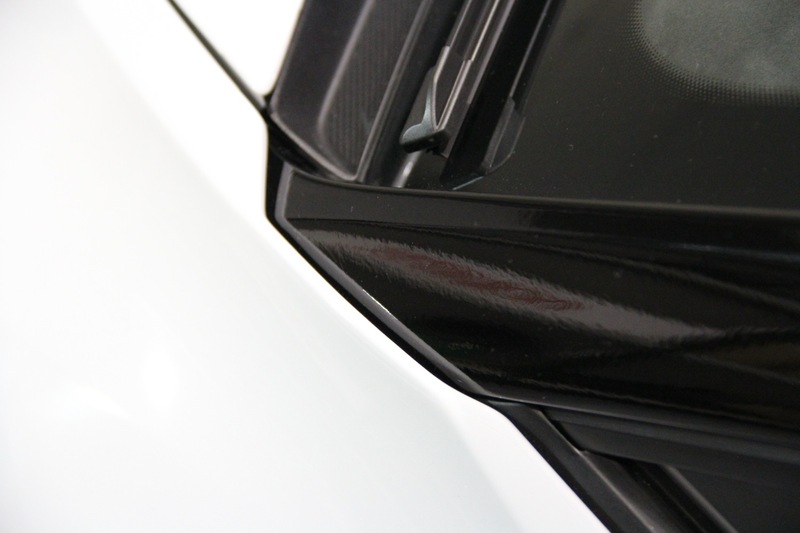 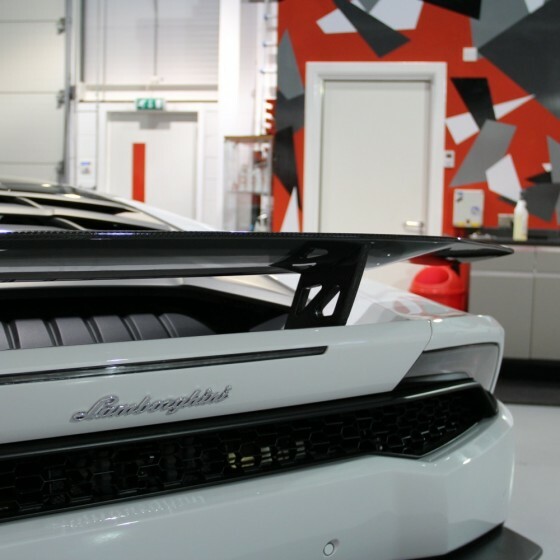 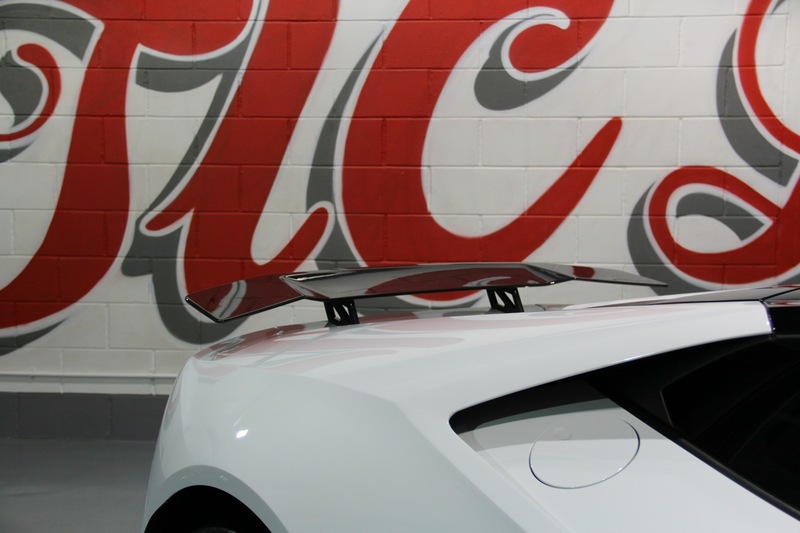 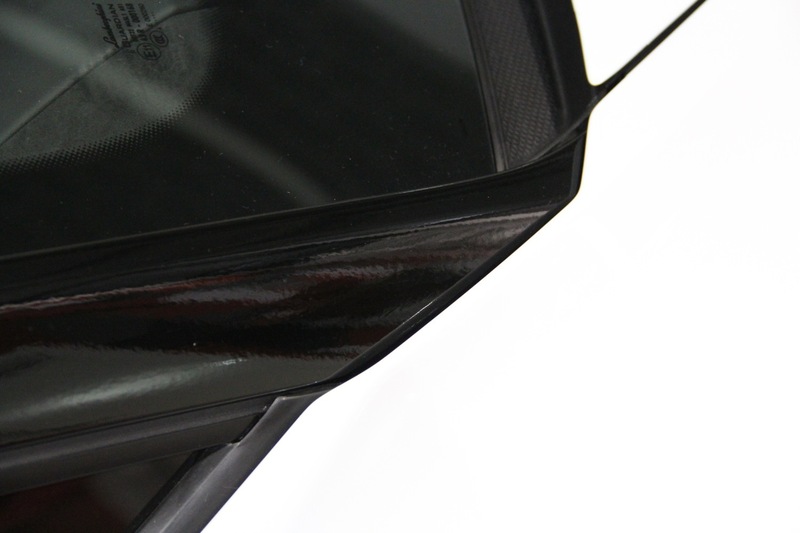 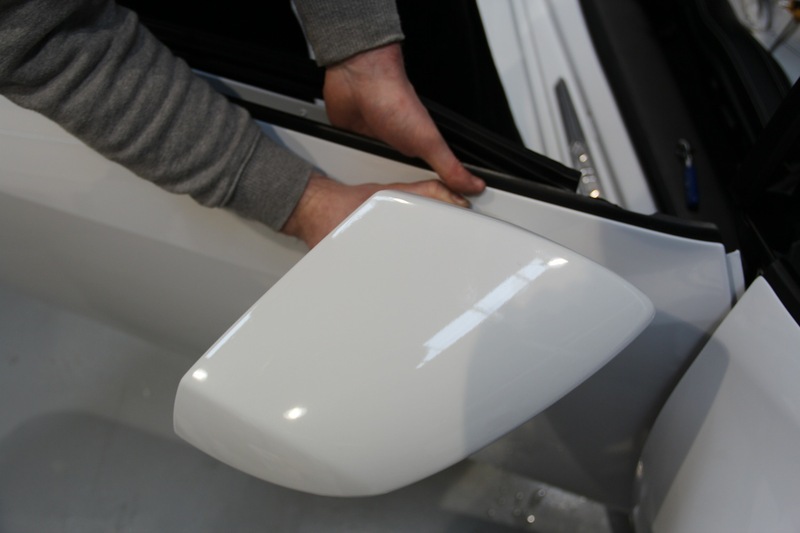 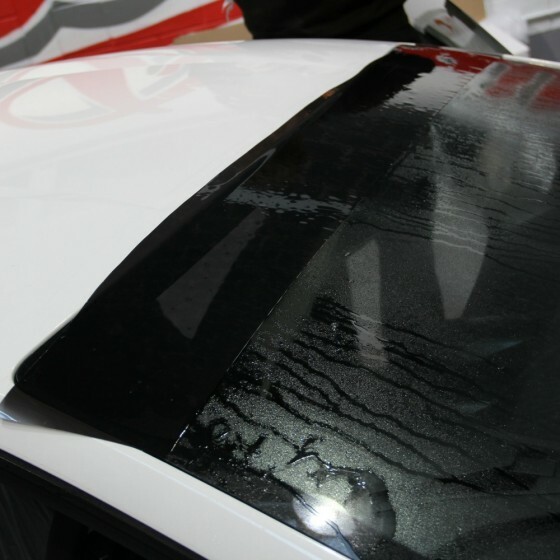 Last but not least we were asked to install a new Novitec Carbon Spoiler. 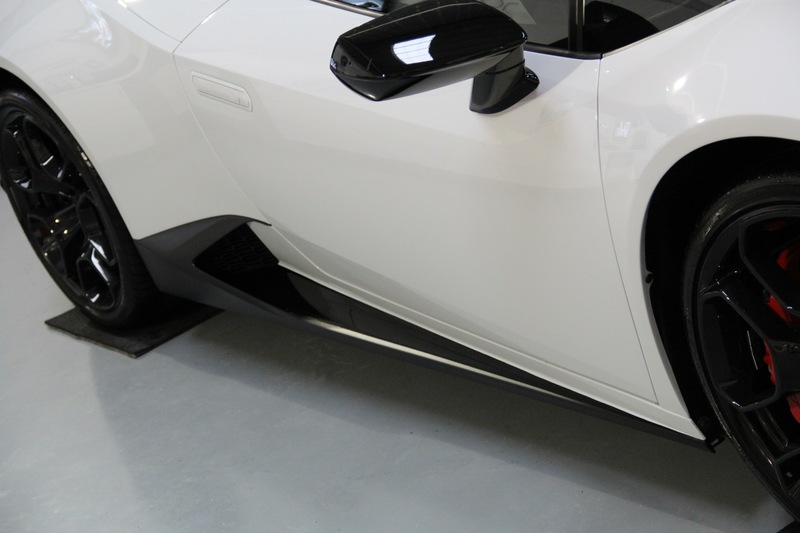 All in All this transformation really gives a different dimension to an already excellent car and we believe the brief was met perfectly. 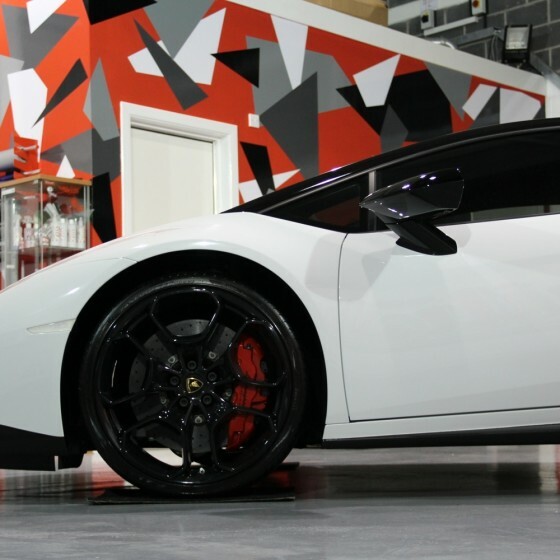 You would think this vehicle had just rolled off the Lamborghini production line looking like this… Perfect in every way!